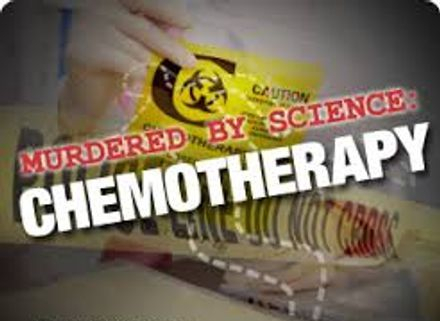 Chemotherapy (sometimes called chemo) uses drugs to destroy cancer cells. Some chemotherapy drugs are given on their own. But more often, several chemotherapy drugs are given together. Chemotherapy may also be given together with other drug treatments, such as biological therapy. Today, there are many different kinds of chemotherapy and combinations of chemotherapy drugs used to treat over 200 different types of cancer. The drugs you get for chemotherapy may be different from the drugs someone else gets. Even if you get the same drugs as someone else, your body may react to them differently. So the way you feel during treatment may be very different from how others feel. 2012- Study ~ Cannabinoid type-1 receptor reduces pain and neurotoxicity produced by chemotherapy. 2012- Study ~ Prevention of Paclitaxel-Induced Neuropathy Through Activation of the Central Cannabinoid Type 2 Receptor System. 2012- News ~ Reefer tokin' seniors in South Florida see pain go up in smoke. 2011 - Study ~ Cannabidiol Attenuates Cisplatin-Induced Nephrotoxicity by Decreasing Oxidative/Nitrosative Stress, Inflammation, and Cell Death. 2011 - Study ~ Brief Report: Cannabidiol Prevents the Development of Cold and Mechanical Allodynia in Paclitaxel-Treated Female C57Bl6 Mice. 2011 - News ~ Marijuana Extract Might Help Prevent Chemotherapy-Related Nerve Pain. 2011- News ~ Cannabinoid 'Completely' Prevents Chemotherapy-Induced Neuropathy, Study Says. 2011 - News ~ Ingredient in cannabis restores taste for cancer patients. 2011 - Anecdotal ~ Father: Medical marijuana eased pain of my cancer-battling son. 2010 - Study ~ Cannabinoid-2 receptor limits inflammation, oxidative/nitrosative stress, and cell death in nephropathy. 2010 - Study ~ Preliminary efficacy and safety of an oromucosal standardized cannabis extract in chemotherapy-induced nausea and vomiting. 2009 - Study - Efficacy of Crude Marijuana and Synthetic Delta-9-Tetrahydrocannabinol as Treatment for Chemotherapy-Induced Nausea and Vomiting: A Systematic Literature Review. 2009 - News ~ Medical Marijuana and Chemotherapy. 2008 - Study ~ Pharmacological Inhibition of CB1 Cannabinoid Receptor Protects Against Doxorubicin-Induced Cardiotoxicity. 2008 - Study ~ Oral nabilone capsules in the treatment of chemotherapy-induced nausea and vomiting and pain. 2008 - Study - Divergent effects of cannabidiol on the discriminative stimulus and place conditioning effects of Δ9-tetrahydrocannabinol. 2007 - News ~ Pot Compound May Offer “Non-Toxic” Alternative To Chemotherapy. 2006 - Study ~ Different views on the association between cannabinoids and cancer. 2006 - Study - Dronabinol for supportive therapy in patients with malignant melanoma and liver. 2006 - News ~ 2nd synthetic marijuana drug OK'd for chemo effects. 2006 - News ~ Cesamet, THC and chemotherapy. 2001 - Study - Therapeutic Aspects of Cannabis and Cannabinoids. 1995 - Study - An efficient new cannabinoid antiemetic in pediatric oncology. 1991 - Study - Marijuana as antiemetic medicine: A Survey of Oncologists' Experiences and Attitudes. 1988 - Study - Efficacy of tetrahydrocannabinol in patients refractory to standard anti-emetic therapy. 1988 - Study - Inhalation marijuana as an antiemetic for cancer chemotherapy. 1988 - Study - Oral vs. Inhaled Cannabinoids for Nausea/Vomiting from Cancer Chemotherapy. 1987 - Study - Nabilone versus prochlorperazin for control of cancer chemotherapy-induced emesis in children: a double-blind, crossover trial. 1986 - Study - Nabilone: an alternative antiemetic for cancer chemotherapy. 1986 - Study - Antiemetic efficacy of nabilone and alizapride. 1986 - Study - Nabilone versus domperidone. 1985 - Study - THC or Compazine for the cancer chemotherapy patient. 1985 - Study - Comparison of nabilone and prochlorperazine. 1982 - Study ~ Levonantradol, a new antiemetic with a high rate of side-effects for the prevention of nausea and vomiting in patients receiving cancer chemotherapy. 1982 - Study - Nabilone vs. prochlorperazine for refractory emesis. 1982 - Study - Nabilone vs. placebo. 1981 - Study - Tetrahydroannabinol (THC) vs prochlorperazine as chemotherapy antiemetics. 1981 - Study - Comparative trial of the antiemetic effects of THC and haloperidol. 1981 - Study - Delta 9-tetrahydrocannabinol in cancer chemotherapy. 1980 - Study - Antiemetic effect of tetrahydrocannabinol. 1980 - Study - Tetrahydrocanabinol versus metoclopramide and thiethylperazine. 1980 - Study - Effects of nabilone and prochlorperazine on chemotherapy-induced emesis. 1980 - Study - Comparison of delta-9-tetrahydrocannabinol and prochlorperazine. 1979 - Study - Delta-9-tetrahydrocannabinol as an antiemetic. 1979 - Study - Delta-9-tetrahydrocannabinol as an antiemetic in cancer patients receiving high-dose methotrexate. 1979 - Study - THC as an antiemetic in patients treated with cancer chemotherapy. 1979 - Study - Amelioration of cancer chemotherapy-induced nausea and vomiting by delta-9-THC. 1979 - Study - Superiority of nabilone over prochlorperazine. 1979 - Study - Delta-9-Tetrahydrocannibinol as an Antiemetic in Cancer Patients Receiving High-Dose Methotrexate. 1975 - Study - Antiemetic effect of delta-9-tetrahydrocannabinol. Niederle N, Schutte J, Schmidt CG. Klin Wochenschr. 1986 Apr 15;64(8):362-5. Twenty nonseminomatous testicular cancer patients not pretreated with emetogenic chemotherapy were included in a crossover study of antiemetic therapy. Patients were randomly assigned to receive either nabilone (2 X 2 mg/day) or alizapride (3 X 150 mg/day) prior to beginning low-dose cisplatin chemotherapy. Patients on nabilone had significantly fewer episodes of emesis than those on alizapride (medians, 1.1 vs 2.9; p less than 0.01). Nabilone was superior to alizapride in giving complete relief from nausea (medians, 65% vs 30%; p less than 0.01), and was more effective in shortening the duration of nausea (medians, 1.3 h vs 5.1 h; p less than 0.01); however, it caused more adverse effects. It is concluded that nabilone has greater antiemetic activity than alizapride in young patients receiving low-dose cisplatin chemotherapy. Nabilone dosage should be reduced to decrease the incidence and degree of adverse reactions while leaving the definite antiemetic activity unchanged. Pomeroy M, Fennelly JJ, Towers M.
A prospective randomized double-blind trial comparing the butyrophenone analogue domperidone (D) and the synthetic cannabinoid nabilone (N) in the treatment of cytotoxic-induced emesis was conducted in 38 patients receiving highly emetogenic chemotherapy regimens (70% containing cisplatin). Patients received 20 mg D or 1 mg N the night before chemotherapy and 8-hourly on each chemotherapy day for two consecutive cycles of treatment. Three of 19 patients randomized to N completed only one cycle because of disease progression or subjectively adverse effects. Four of 19 patients completed only one cycle of D because of lack of efficacy or chemotherapy toxicity. In all, 32 cycles of N and 33 cycles of D were evaluable for efficacy. The mean number of vomiting episodes in cycle 1 was 4.76 for N and 12.95 for D (P less than 0.02). The corresponding values for cycle 2 were 4.27 and 7.69 (P greater than 0.10), and for cycles 1 and 2 combined, 4.53 for N and 10.81 for D (P less than 0.01). Nausea and food intake scores did not differ significantly, although there was a trend towards less nausea and an increased food intake with N.
Subjectively adverse effects were more frequent with N and included drowsiness, dizziness, dry mouth, and postural hypotension. N is superior to D for the control of cytotoxic-induced emesis. THC or Compazine for the cancer chemotherapy patient--the UCLA study. Part II: Patient drug preference. Ungerleider JT, Sarna G, Fairbanks LA, Goodnight J, Andrysiak T, Jamison K.
Factors influencing preference for THC vs. Compazine (prochlorperazine) as an antiemetic agent during cancer chemotherapy were studied in 139 patients who received both medications in a double-blind randomized crossover design trial. Nausea reduction was the main determinant of preference. THC preference was associated with more, rather than fewer, drug-related side effects than Compazine, particularly sedation. Patients who reported being anxious or depressed did not experience accentuation of their mood states with either regime. Mood effects, nausea reduction, incidence of side effects, and drug preference were the same in patients under and over 50 years of age. Patients with a history of illicit drug use reported fewer side effects from THC, but reported no difference in drug preference or nausea reduction compared to those patients without a history of illicit use. Amerícan Journal of Clinical Oncology 1985 Aug;8(4):336-40. An anti-emetic drug, nabilone, a synthetic cannabinoid, has been compared with prochlorperazine in 24 lung cancer patients receiving cancer chemotherapy. Each of the drugs studied was given orally every 12 hours, starting the night before chemotherapy, during one of two consecutive identical chemotherapy cycles in accordance with a double-blind cross-over random order assignment. Single doses were 2 mg of nabilone, or 15 mg of prochlorperazine. The chemotherapeutic regimens given included the following drugs in various combinations: cis-platinum, vincristine, cyclophosphamide, adriamycin, vindesine, and etoposide (VP16). Nabilone was significantly superior to prochlorperazine in the reduction of vomiting episodes. Side effects, mainly vertigo, were evident in nearly half of the patients after nabilone, and three patients were withdrawn from the study due to decreased coordination and hallucinations after nabilone. Side effects from prochlorperazine were limited to mild drowsiness in one patient. Two-thirds of the patients preferred nabilone to prochlorperazine. We conclude that nabilone is a moderately effective anti-emetic drug, but that the unpredictability of its side effects call for careful patient information, especially with elderly outpatients. We recommend that at least after the first dose of nabilone, the patient should be kept under close observation during 4 hours. Johansson R, Kilkku P, Groenroos M.
Cancer Treat Rev. 1982 Dec;9 Suppl B:25-33. Severity of nausea and number of vomiting ejections and dry retching episodes were significantly less under nabilone. 27 patients who were refractory to previously used common antiemetic treatment while on chemotherapy have been entered in a crossover, double-blind, randomized study aimed to compare efficacy and toxicity of 2 mg b.i.d. oral nabilone and 10 mg b.i.d. oral prochlorperazine. Eighteen patients are presently evaluable for efficacy. Severity of nausea was less during the nabilone period of administration. The number of vomiting ejections and dry retching episodes was significantly less (P<0.001) on nabilone than on prochlorperazine. There was a significant period effect (P<0.01) together with the patient’s evaluation of vomiting episodes and the investigator’s assessment of therapeutic efficacy, the vomiting scores being worse during the second treatment period. 72% of the patients (P<0.05) preferred nabilone to prochlorpearzine, in agreement with the observed therapeutic efficacy. Side effects (54%) were more frequent and severe with nabilone than with prochlorperazine; postural hypotension (42%), which was severe in 7 patients with a fall of more than 30 mm Hg. Vertigo (23%), CNS changes (headache, depression, general weakness-4%; mood alterations with dysphoria-8%). Doblin, Richard and Kleiman, Mark A. R, "Marijuana as Antiemetic Medicine: A Survey of Oncologists' Experiences and Attitudes." Journal of Clinical Oncology. 1991; 9(7): pp. 1314-1319. A random-sample, anonymous survey of the members of the American Society of Clinical Oncology (ASCO) was conducted in spring 1990 measuring the attitudes and experiences of American oncologists concerning the antiemetic use of marijuana in cancer chemotherapy patients. The survey was mailed to about one third (N = 2,430) of all United States-based ASCO members and yielded a response rate of 43% (1,035). More, than 44% of the respondents report recommending the (illegal) use of marijuana for the control of emesis to at least one cancer chemotherapy patient. Almost one half (48%) would prescribe marijuana to some of their patients if it were legal. As a group, respondents considered smoked marijuana to be somewhat more effective than the legally available oral synthetic dronabinol [THC] Marinol; Unimed, Somerville, NJ) and roughly as safe. Of the respondents who expressed an opinion, a majority (54%) thought marijuana should be available by prescription. These results bear on the question of whether marijuana has a "currently accepted medical use," at issue in an ongoing administrative and legal dispute concerning whether marijuana in smoked form should be available by prescription along with synthetic THC in oral form. This survey demonstrates that oncologists' experience with the medical use of marijuana is more extensive, and their opinions of it are more favorable, than the regulatory authorities appear to have believed. Marijuana (smoked) has been reported to be effective in treating emesis associated with cancer chemotherapy (1-4), but its use is currently prohibited by law. The main psychoactive ingredient in marijuana, tetrahydrocannabinol (THC; dronabinol), was approved in 1985 by the Food and Drug Administration (FDA) for use in the treatment of emesis. As marketed under the trade name Marinol (Unimed, Somerville, NJ) and synthetically formulated in sesame oil in gelatin capsules to be taken orally, almost 100,000 doses were prescribed in 1989 (6). Litigation concerning the rescheduling of marijuana to permit its medical use has been making its way through the courts since 1972. This is the standard for rescheduling required by the Uniform Controlled Substances Act of 1970, which created the current system of drug scheduling. The Act does not further specify the standard. In September 1988, after 2 years of Drug Enforcement Administration (DEA) administrative hearings, DEA Administrative Law Judge Francis Young issued a recommendation in favor of rescheduling marijuana. He ruled that the appropriate standard for current acceptance is identical to the one established for a successful defense in medical malpractice cases, which requires only that the medical practice at issue be accepted by a "respectable minority" of physicians. Ironically, the 1955 medical malpractice case that established this standard involved a lawsuit against an oncologist for the unsuccessful use of chemotherapy, which was then new and did not have the approval of the American Medical Association. The court stated that as long as there was no infallible cure and the doctor "did not engage in quackery by representing that he had one,'' the support of a respectable minority of peers would be sufficient to avoid malpractice liability. The court remarked "We [the court] are not physicians and we have no light on the subject except such as is shed by the testimony of physicians..." . On December 29, 1989, the Administrator of DEA rejected Judge Young's recommendation and refused to reschedule marijuana on the grounds that medical use of marijuana was not currently accepted. The Administrator used an eight-part standard for determining current acceptance similar to the "safety and efficacy" standard used by the FDA to approve the marketing of new drugs by pharmaceutical companies. The DEA first articulated this standard in another rescheduling case in 1987, after the United States Court of Appeals (1st Circuit 1987) rejected its contention that FDA new drug approval itself was the appropriate standard. On April 26, 1991, the United States Court of Appeals (DC Circuit) ruled that DEA's standard was impossible to meet, and was therefore invalid. The court remanded to the DEA its ruling rejecting Judge Young's recommendation in favor of the rescheduling of marijuana. The extent of oncologists' acceptance of medical use of marijuana remains a disputed issue. Dr Ivan Silverberg, an oncologist and witness in the DEA hearings, testified, "There has evolved an unwritten but accepted standard of treatment within the oncologic community which readily accepts marijuana's use". What percent are you talking about? One half of one percent? One quarter of one percent?". This report of oncologists experiences with and attitudes about marijuana as an antiemetic is based on a survey of these specialists conducted in the spring of 1990. A random sample of the United States-based members of the American Society of Clinical Oncology (ASCO) was surveyed. The membership of ASCO, the only formal association of clinical oncologists in the United States, comprises about 80% of the approximately 5,000 board-certified oncologists and almost 60% of the approximately 11,700 oncologists in the United States, including academic and research-oriented oncologists as well as clinicians in private practice. The survey was conducted independently of ASCO sponsorship. The survey, responses to which were anonymous, was sent to about 35% (N = 2,430) of the total United States-based ASCO 1989 membership (N = 6,830). The 1,035 surveys returned resulted in a response rate of 43%, representing 15% of United States-based ASCO members and 9% of all oncologists in the United States. Of the respondents, 57 (6%) returned the survey unanswered, indicating that they did not treat patients. Other respondents did not answer every question. The data analysis is based on the total number of respondents answering each particular question. The survey initially elicited personal information about the oncologist's year of graduation from medical school and size of practice. Oncologists were then asked to estimate the proportion of their cancer chemotherapy patients for whom the currently available antiemetics provided adequate relief or caused significant problems with side effects. Respondents were asked how frequently they prescribed Marinol, whether any of their patients had used marijuana as an antiemetic, whether they had directly observed or discussed marijuana's medical use with patients, and whether they had ever recommended that a patient try marijuana. Oncologists were also asked to estimate the proportion of their patients who reported effective emetic control or negative side effects from using marijuana or Marinol, to directly compare the safety and efficacy of marijuana and Marinol, and to estimate what proportion of their patients experienced net benefits from their use of marijuana. Oncologists were further asked to respond to the statements "Marijuana can be effective in the control of emesis," "Marijuana can be used safely in the control of emesis," 'Marijuana should be given an accepted place in the antiemetic armamentarium," and "I find the use of Marinol in the control of emesis to be a legitimate, currently acceptable medical practice" by indicating strong agreement, agreement, strong disagreement, disagreement, or no opinion. Oncologists were also asked, if marijuana were legal, whether they would prescribe it to "many," "few," or "none" of their patients or if they needed more information. Ten percent of the respondents graduated from medical school in the 1980s; almost one half (48%) of the respondents graduated from medical school in the 1970s; almost one third (31%) in the 1960s; 9% in the 1950s; and 2% in the 1940s. In 1989, almost one half (49%) of the respondents had an annual patient population of more than 225; almost one quarter (24%) treated between 150 and 225 patients; 18% treated between 75 and 150 patients; and 9% treated 75 or fewer patients. Two hundred nine (21%) of oncologists reported that the available medicines provided inadequate relief to half or more of their patients (Fig 1). More than half (520, 54%) of the respondents reported that the available antiemetics caused significant problems with side effects in more than a "few" of their patients ( Fig 1). Slightly more than 70% (686) of respondents reported that at least one of their patients had used marijuana as an antiemetic and that they had directly observed or discussed marijuana's medical use with that patient(s). Marinol had been prescribed by 557 respondents (57%). A surprising proportion of respondents (432, 44%) said they had recommended marijuana to at least one patient. Only six respondents noted that they did so as part of a legally authorized research protocol. Not surprisingly, respondents who treated more than 150 patients per year were more likely to have recommended marijuana than respondents treating fewer than 150 patients (46% v 34%, P < .05). Respondents who graduated from medical school in the 1950s, the 1960s, or the 1970s had statistically similar rates of recommending marijuana (1950s, 46%; 1960s, 44%; 1970s, 44%). However, those who graduated during the 1980s had a significantly lower rate (30%. P < .05). Three hundred eighty-five respondents (64%) stated that marijuana was effective in 50% or more of their patients, and 266 (56%) reported the same of Marinol (Fig 2). The difference is statistically significant (P = .008). Of the 277 respondents (28%) who felt they had sufficient information to compare marijuana directly with Marinol in terms of efficacy, 44% believed marijuana to be more effective, 13% believed Marinol to be more effective, and 43% thought they were about equally effective. Of those who reported a preference (N = 157), 121 (77%) thought marijuana was more effective than Marinol. The difference between 77% and 50% (the null hypothesis) is statistically significant below the .0001 level. Six hundred eight respondents (63%) agreed with the statement affirming the efficacy of marijuana in the treatment of emesis (9% "strongly agreed" and 54% "agreed"), and 77 respondents (8%) disagreed (2% "strongly disagreed" and 6% "disagreed"). Two hundred eighty-three (29%) had no opinion. Of the respondents with opinions (N = 685), 89% believed marijuana to be effective in the control of emesis. Of respondents to a question concerning net benefits (N = 644), 409 (64%) reported that 50% or more of their patients experienced net benefits from marijuana. Only 15 (2%) reported that none of their patients experienced net benefits from marijuana. Two hundred twenty-four respondents (47%) stated that the use of Marinol caused negative side effects in 50% or more of their patients, and 235 (40%) reported the same about marijuana (Fig 3). The difference is statistically significant (P = .018). Of the 288 respondents (29%) who felt they had sufficient information to compare marijuana with Marinol in terms of side effects, 20% believed marijuana to cause fewer problems with side effects, 23% believed Marinol to cause fewer problems, and 57% thought they were equal. Slightly more than half, 52% (65), of those who reported a preference (124) reported Marinol to cause fewer problems with side effects. The difference between 52% and 50% is not statistically significant (P = .596). Four hundred seventy-eight respondents (49%) agreed with the statement affirming that marijuana could be safely used in the treatment of emesis (6% "strongly agreed" and 43% ''agreed"), and 131 (14%) disagreed (4% "strongly disagreed" and 10% "disagreed"). Three hundred sixty-one (37%) had no opinion. Of the respondents with opinions (N = 609), almost four fifths (79%) believed that marijuana could be safely used to control emesis. Almost half (423, 44%) of the respondents reported that they believe marijuana to be both safe and efficacious. Of respondents with opinions on both safety and efficacy (N = 577), 73% believe marijuana to be both safe and efficacious. There were no significant differences in positive opinions of marijuana's safety and efficacy between respondents who treated 150 patients or fewer annually and those who treated more than 150 patients annually, or among respondents who graduated in different decades. Three hundred twenty respondents (33% of all respondents) stated that marijuana should be accepted (5O% "strongly agreed" and 28% "agreed") and 279 (29%) felt that it should not (7% "strongly disagreed" and 22% "disagreed"); 364 (38%) expressed no opinion. Of the 599 respondents with opinions, 53% favored making marijuana available by prescription. The surplus of positive over negative opinions is within the bounds of sampling error (P = .092). There were no significant differences in rate of acceptance by size of patient population. However, respondents who graduated in the 1950s were significantly less likely to accept the medical use of marijuana (22%) than respondents who graduated in the 1960s (35% ), the 1970s (34%), or the 1980s (39%) (P < .05). When asked whether Marinol should be accepted, 705 respondents (73%) agreed (20% "strongly agreed" and 53% "agreed") and 83 (9%) disagreed (2% "strongly disagreed" and 7% "disagreed"); 177 (18%) had no opinion. Of the 788 respondents with opinions, 89% accept the medical use of synthetic THC. Almost half of the respondents (440, 48%) would prescribe marijuana to at least a few patients (4% to "many," 44% to "few'') if it were legal; 200 (22%) would not prescribe it; and 274 (30%) said they would need more information. The 48% who would prescribe marijuana if it were legal is only slightly less than the 54% who have prescribed Marinol, which is legally available. Of those oncologists who had previously recommended marijuana to at least one patient (N = 432), 279 (65%) would prescribe marijuana to at least a few patients if it were legally available. Of those oncologists who had not recommended marijuana to at least one patient (N = 550), 161 (29%) report that they would prescribe marijuana to at least a few patients if it were legally available. Although substantial, the response rate of 43% makes it difficult to determine precisely the views of the entire ASCO membership. The views of the sample who returned the survey may differ significantly from the views of those who did not. Since ASCO itself does not compile membership statistics for age, year of graduation from medical school, or patient population size, respondents cannot be compared with the full membership in these respects. However, no obvious anomalies in their characteristics were observed. Furthermore, the distribution of postmarks by state on the returned surveys - the main information available with which to evaluate response bias - very closely matched the geographic distribution of the survey forms mailed. Although there is nothing specific to suggest the presence of response bias, it cannot be ruled out. Therefore, all reported statistics should be considered indications of the general range of support for various propositions, rather than precise determinations. The central empirical question the survey was designed to answer was whether a significant minority of the members of the ASCO supported the rescheduling of marijuana to permit its use in the treatment of nausea associated with cancer chemotherapy. The response rate is sufficiently large to resolve that question conclusively. Of all oncologists with opinions responding to our survey, 54% supported rescheduling. Possible response bias makes it impossible to determine precisely whether a majority of the population with opinions actually holds that view. Ascertaining whether a significant minority of the population supports rescheduling is much simpler. A sensitivity analysis varying the degree of acceptance of the medical use of marijuana by nonrespondents to the survey suggests that support for rescheduling marijuana is indeed present in at least a significant minority of our population. In the hypothetical event that all nonrespondents and all respondents without opinions were actually opposed to rescheduling, 13% of oncologists would remain in favor of rescheduling. If all nonrespondents and respondents without opinions were actually for rescheduling, 85% would support prescription availability of marijuana. The survey data suggest that adding marijuana to the existing armamentarium of antiemetic agents would result in substantial benefits to patients. Oncologists believe smoked marijuana to be roughly as safe as legally available, oral synthetic THC (Marinol) and somewhat more effective. Of the oncologists responding to our survey, 44% - 73% of those with opinions - consider marijuana both safe and efficacious. Oncologists may prefer to prescribe smoked marijuana over oral THC for several reasons. The bioavailability of THC absorbed through the lungs has been shown to be more reliable than that of THC absorbed through the gastrointestinal tract (17-18), smoking offers patients the opportunity to self-titrate dosages to realize therapeutic levels with a minimum of side effects, and there are active agents in the crude marijuana that are absent from the pure synthetic THC. Although the survey did not ask whether marijuana or Marinol might be safer or more effective when used with specific patient groups, in space set aside for comments, 42 oncologists mentioned either that older patients had more problems with side effects from both Marinol and marijuana or that patients who had side effects tended to be inexperienced with marijuana. The increased prevalence of side effects in older patients may be a cohort effect and not an age effect. Marijuana and Marinol may be most useful in younger or marijuana-experienced patients. More than four in 10 respondents (44%) report that they have recommended the (illegal) use of marijuana to control emesis to at least one cancer chemotherapy patient. The fact that so many physicians have advised patients to commit an illegal act to obtain marijuana suggests a substantial discrepancy between clinical and regulatory opinions. Almost half (48%) would prescribe it to some of their patients if it were legal. The survey reported here of the opinions and experiences of clinicians is not a controlled clinical study of the use of marijuana as an antiemetic. Nevertheless, this survey demonstrates that oncologists' experience with the medical use of marijuana is more extensive, and their opinions of it are more favorable, than the regulatory authorities appear to have believed. It appears that current regulations create the somewhat anomalous situation that a substantial fraction of all practicing oncologists at least occasionally commit an act - ie, counseling a patient to acquire and use a controlled substance - that constitutes a crime and that at least in principle could lead to the revocation of their license. Randall RC (ed): Cancer Treatment and Marijuana Therapy. Washington, DC, Galen Press. 1990. Jones SE, Durant JR, Greco FA, Robertone A. Cancer Treat Rev. 1982 Dec;9 Suppl B:45-8. Nabilone is an effective antiemetic agent for chemotherapy-induced nausea and vomiting. A prospective, randomized, double-blind, crossover study of nabilone versus placebo was undertaken in three university cancer centers to determine the antiemetic efficacy and toxicity of nabilone in patients experiencing nausea and vomiting due to cancer chemotherapy. Identical study drug (2 mg of nabilone or placebo) was given the evening before and the morning of chemotherapy and for at least 24h afterwards on a b.i.d. schedule. Careful assessment of nausea, vomiting and finally patient preference for study drug was carried out on each of two identical courses of combination chemotherapy. Fifty-four patients were entered. Of the 24 patients fully evaluable for efficacy, nabilone significantly reduced the mean number of vomiting episodes (7 vs. 18, P<0.001) and nausea (P<0.001) compared to placebo. In addition, 79% of patients experienced less vomiting and 63% less nausea while receiving nabilone compared to 13 and 4% of patients reporting less with placebo. Sixty-seven percent of patients preferred nabilone at the completion of this trial compared to 8” for placebo (P<0.001). Side effects were common with nabilone but acceptable and in 49 patients who were evaluable for toxicity consisted primarily of dizziness (65%), drowsiness (51%), dry mouth (31%), sleep disturbance (14%), ataxia (8%), nausea (8%) and euphoria (6%). • Artim R, DiBella N. Tetrahydrocannabinol (THC) plus prochlorperazine (PCZ) for refractory nausea and vomiting (N/V). Proceedings of the American Society for Clinical Oncology 1983;2:84. • Chang AE, Shiling DJ, Stillman RC, Goldberg NH, Seipp CA, Barofsky I. Delta-9-tetrahydrocannabinol as an antiemetics in cancer patients receiving high-dose methotrexate. Annals of Internal Medicine 1979;91:819-824. • Chang AE, Shiling DJ, Stillman RC, Goldberg NH, Seipp CA, Barofsky I, Rosenberg SA.. A prospective evaluation of delta-9-tetrahydrocannabinol as an antiemetic in patients receiving adriamycin and cytoxan chemotherapy. Cancer 1981; 47: 1746-1751. • Colls BM, Ferry DG, Gray AJ, Harvey VJ, McQueen EG. The antiemetic activity of tetrahydrocanabinol versus metoclopramide and thiethylperazine in patients undergoing cancer chemotherapy. New Zealand Medical Journal 1980;91:449-451. • Ekert H, Waters KD, Jurk KH, Mobilia J, Loughnan P. Ameriloration of cancer chemotherapy-induced nausea and vomiting by delta-9-tetrahydrocannabinol. Medical Journal of Australia 1979;2:657-659. • Frytak S, Moertel CG, O'Fallon JR, Rubin J, Creagan ET, O'Connnell MJ. Delta-9-tetrahydrocannabinol as an antiemetics for patients receiving cancer chemotherapy. A comparison with prochlorperazine and a placebo. Annals of Internal Medicine 1979;91:825-830. • Gralla RJ, Tyson LB, Bordin LA, Clark RA, Kelsen DP, Kris MG. Antiemetic therapy: a review of recent studies and a report of a random assignment trial comparing metoclopramide with delta-9-tetrahydrocannabinol. Cancer Treatment Report 1984;68:163-172. • Kluin-Nelemans JC, Nelemans FA, Meuwissen OJATh, Maes RAA. D9-tetrahydrocannabinol (THC) as an antiemetic in patients treated with cancer chemotherapy; a double-blind cross-over trial against placebo. Veterinary and Human Toxicology 1979;21:338-340. • Lane M, Vogel CL, Ferguson J, Krasnow S, Saiers JL, Hamm J. Dronabinol and prochlorperazine in combination for treatment of cancer chemotherapy-induced nausea and vomiting. Journal of Pain and Symptom Management 1991;6:352-359. • Levitt M, Faiman C, Hawks R, Wilson A. Randomized double blind comparison of delta-9-tetrahydroicannabinol (THC) and marijuana as chemotherapy antiemetics. Proceedings of the American Society for Clinical Oncology 1984;3:91. American Society for Clinical Oncology 1981;22:422. • McCabe M, Smith FP, Goldberg D, Macdonald J, Woolley PV, Warren R. Efficacy of tetrahydrocannabinol in patients refractory to standard anti-emetic therapy. Investigational New Drugs 1988;6:243-246. • Neidhart JA, Gagen MM, Wilson HE, Young DC. Comparative trial of the antiemetic effects of THC and haloperidol. International Journal of Clinical Pharmacology Research 1981; 21: 38-42S. • Orr LE, McKernan JF, Bloome B. Antiemetic effect of tetrahydrocannabinol. Compared with placebo and prochlorperazine in chemotherapy-associated nausea and emesis. Archives of Internal Medicine 1980;140:1431-433. • Sallan SE, Cronin C, Zelen M, Zinberg NE. Antiemetics in patients receiving chemotherapy for cancer. A randomized comparison of delta-9-tetrahydrocannabinol and prochlorperazine. New England Journal of Medicine 1980;302:135-138. • Sallan SE, Zinberg NE, Frei E. Antiemetic effect of delta-9-tetrahydrocannabinol in patients receiving cancer chemotherapy. New England Journal of Medicine 1975;293:795-797. • Ungerleider JT, Andrysiak T, Fairbanks L, Goodnight J, Sarna G, Jamison K. Cannabis and cancer chemotherapy. A comparison of oral delta-9-THC and prochlorperazine. Cancer 1982;50:636-645. • Ungerleider JT, Sarna G, Fairbanks LA, Goodnight J, Andrysiak T, Jamison K. THC or compazine for the cancer chemotherapy patientthe UCLA study. Part II: patient drug preference. American Journal of Clinical Oncology 1985; 8: 142-147. • Meiri E, Jhangiani H, Vredenburgh JJ, Barbato LM, Carter FJ, Yang HM, Baranowski V. Efficacy of dronabinol alone and in combination with ondansetron versus ondansetron alone for delayed chemotherapy-induced nausea and vomiting. Curr Med Res Opin 2007;23(3):533-43. • Ahmedzai S, Carlyle DL, Clader IT, Moran F. Anti-emetic efficacy and toxicity of nabilone, a synthetic cannabinoid, in lung cancer chemotherapy. British Journal of Cancer 1983;48:657-663. • Crawford SM, Buckman R. Nabilone and metoclopramide in the treatment of nausea and vomiting due to cisplatinum: a double blind study. Medical Oncology and Tumor Pharmacotherapy 1986; 3: 39-42. • Cunningham D, Bradley CJ, Forrest GJ, Hutcheon AW, Adams L, Sneddon M, et al. A randomized trial of oral nabilone and prochlorperazine compared to intravenous metoclopramide and dexamethasone in the treatment of nausea and vomiting induced by chemotherapy regimens containing cisplatin or cisplatin analogues. European Journal of Cancer and Clinical Oncology 1988; 24: 685-689. • Dalzell AM, Bartlett H, Lilleyman JS. Nabilone: An alternative antiemetic for cancer chemotherapy. Archives of Disease in Childhood 1986;61:502-505. • Einhorn LH, Nagy C, Furnas B, Williams SD. Nabilone: an effective antiemetic in patients receiving cancer chemotherapy. Journal of Clinical Pharmacology. 1981 Aug-Sep;21(8-9 Suppl):64S-69S. • George M, Pejovic MH, Thuaire M, Kramar A, Wolff JP. Randomized comparative trial of a new anti-emetic: nabilone, in cancer patients treated with cisplatin. Biomedicine and Pharmacotherapy 1983; 37: 24-27. • Herman TS, Einhorn LH, Jones SE, Nagy C, Chester AB, Dean JC, et al. Superiority of nabilone over prochlorperazine as an antiemetic in patients receiving cancer chemotherapy. New England Journal of Medicine 1979; 300: 1295-1297. • Johansson R, Kilkku P, Groenroos M. A double-blind, controlled trial of nabilone vs prochlorperazine for refractory emesis induced by cancer chemotherapy. Cancer Treatment Reviews 1982; 9: 25-33. • Levitt M. Nabilone vs placebo in the treatment of chemotherapy-induced nausea and vomiting in cancer patients. Cancer Treatment Reviews 1982; 9(suppl B): 49-53. • Nagy CM, Furnas BE, Einhorn LH, Bond WH. Nabilone: antiemetic crossover study in cancer chemoptherapy patients. Proceedings of the American Society for Cancer Research 1978;19:30. • Niederle N, Schutte J, Schmidt CG. Crossover comparison of the antiemetic efficacy of nabilone and alizapride in patients with nonseminomatous testicular cancer receiving cisplatin therapy. Klinische Wochenschrift 1986; 64: 362-365. • Niiranen Aila, Mattson K. A cross-over comparison of nabilone and prochlorperazine for emesis induced by cancer chemotherapy. American Journal of Clinical Oncology 1985;8:336-340. • Pomeroy M, Fennelly JJ, Towers M. Prospective randomized double-blind trial of nabilone versus domperidone in the treatment of cytotoxic-induced emesis. Cancer Chemotherapy and Pharmacology 1986;17:285-288. • Priestman SG, Priestman TJ, Canney PA. A double-blind randomised cross-over comparison of nabilone and metoclopramide in the control of radiation-induced nausea. Clinical Radiology 1987; 38: 543-544. • Steele N, Gralla RJ, Braun Jr DW, Young CW. Double-blind comparison of the antiemetic effects of nabilone and prochlorperazine on chemotherapy-induced emesis. Cancer Treatment Report 1980; 64: 219-224. • Citron ML, Herman TS, Vreeland F, Krasnow SH, Fossieck BE, Jr. Antiemetic efficacy of levonantradol compared to delta-9-tetrahydrocannabinol for chemotherapy-induced nausea and vomiting. Cancer Treatment Reports 1985;69:109-112. • Higi M, Niederle N, Bremer K, Schmitt G, Schmidt CG, Seeber S. Levonantradol bei der Behandlung von zytostatika-bedingter Nausea and Vomiting. Deutsche Medizinische Wochenschrift 1982; 107: 1232-1234. • Abrahamov A, Abrahamov A, Mechoulam R. An efficient new cannabinoid antiemetic in pediatric oncology. Life Sciences 1995;56:2097-2102. • Vinciguerra V, Moore T, Brennan E. Inhalation marijuana as an antiemetic for cancer chemotherapy. New York State Journal of Medicine 1988;88:525-527. • Musty RE, Rossi R. Effects of smoked cannabis and oral delta-9-tetrahydrocannabinol on nausea and emesis after cancer chemotherapy: A review of state clinical trials. J Cannabis Ther 2001;1(1):29-42. • Doblin RE, Kleiman MA. Marijuana as antiemetic medicine: a survey of oncologists' experiences and attitudes. American Journal of Clinical Oncology 1991; 9: 1314-1319. • Schwartz RH, Voth EA, Sheridan MJ. Marijuana to prevent nausea and vomiting in cancer patients: a survey of clinical oncologists. South Medical Journal 1997;90(2):167-72. You will find scientific information on most of the studies at Database on Clinical Studies and Case Reports. Oral delta-9-tetrahydrocannabinol (THC), 15 mg/m2, was compared to prochlorperazine (PCZ), 10 mg. for the control of cancer chemotherapy-related emesis. Thirty-six patients whose vomiting was refractory to standard antiemetic therapy were entered in this randomized comparative cross-over study. THC decreased nausea and vomiting in 23 of 36 (64%) patients compared to 1 of 36 receiving PCZ. THC efficacy was not dependent on the class of antineoplastic-agent inducing the emetic symptoms, age of patients or type of sensorial change experienced. Using the 15 mg/m2 dose, all patients experienced transient sensorial changes, characterized as a pleasant "high" in 19 or a variable state of dysphoria in 17 cases. This study confirms the usefulness of THC in patients whose chemotherapy-induced nausea and vomiting is refractory to other standard antiemetics. While excellent antiemetic control was achieved at the dosage 15 mg/m2, dysphoria was encountered at this dose level and we recommend that an initial dose of 5 mg/m2 which, if necessary, can be carefully increased to achieve maximum antiemetic benefit. A prospective, randomized and double-blinded trial of the comparative effects of delta-9-tetrahydrocannabinol (THC) and haloperidol (H) was begun in February 1980. Patients were randomized to initially receive either THC or haloperidol with cross-over to the other agent after two courses. All patients evaluated efficacy and toxicity of each agent and those patients completing the study expressed a preference for either THC or haloperidol. All patients are receiving chemotherapeutic agents known to induce severe vomiting (cis-platinum, nitrogen mustard, or doxorubicin) or have a history or retching with chemotherapy. Fifty-two patients are evaluable as of October, 1980. THC and haloperidol were equally effective in controlling nausea and vomiting as judged by number of vomiting episodes, patient evaluation of efficacy, and patient preference. About 10% of patients had complete control of vomiting and a third had less than five episodes. Patients failing one of the antiemetics had good control with the other about half the time. Toxicities from THC were less well tolerated than those from haloperidol, but most patients had no serious side effects. Nonoverlapping toxicities and efficacy raise the possibility that a combination of the agents might be worthwhile. Delta-9-tetrahydrocannabinol (THC) is an effective antiemetic as compared with placebos in patients receiving chemotherapy for cancer. In this study we compared THC with prochlorperazine (compazine) in a randomized, double-blind, crossover trial with patients who had failed to benefit from standard antiemetic therapy. Regardless of the emetic activity of the chemotherapeutic agents, there were more complete responses to THC courses (in 36 of 79 courses) than to prochlorperazine (in 16 of 78 courses). Of 25 patients who were treated with both drugs and who expressed a preference, 20 preferred THC (P = 0.005). Among patients under 20 years of age there was a higher proportion of complete responses to THC courses (15 of 20) than among older patients (21 of 59 courses; P = 0.004). Increased food intake occurred more frequently with THC (P = 0.008) and was associated with the presence of a "high." Of 36 THC courses resulting in complete antiemetic responses, 32 were associated with a high. We conclude that THC is an effective antiemetic in many patients who receive chemotherapy for cancer and for whom other antiemetics are ineffective. Patients were remarkably free of adverse physiologic effects. One hundred twenty patients about to receive their first treatment with potentially nauseant cancer chemotherapy were randomized to one of si xantiemetic treatments: (1) no treatment; (2) placebo; (3) prochlorperazine (PCPZ), 10 mg; (4) delta 9-tetrahydrocannabinol (THC), 5 mg; (5) THC, 10 mg; (6) THC, 15 mg.
Four doses of each medication were given orally at 4-hour intervals starting 2 hours before chemotherapy. A study nurse was responsible for both objective (nurse) and subjective (patient) symptom questionnaires. Serum levels were obtained at intervals for cross-reacting cannabinoids. Physiologic measurements including intraocular pressure (IOP), blood pressure, and pulmonary function were also recorded. In summary, the patients were remarkably free of adverse physiologic effects. All intraocular pressures before and after treatment were within the normal range, although a surprising statistically significant increase in IOP occurred in the group receiving 5 mg THC. Fifty-five patients harboring a variety of neoplasms and previously found to have severe nausea or emesis from antitumor drugs were given antiemetic prophylaxis in a double-blind, randomized, crossover fashion. Tetrahydrocannabinol (THC), prochlorperazine, and placebo were compared. Nausea was absent in 40 of 55 patients receiving THC, eight of 55 patients receiving prochlorperazine, and five of 55 in the placebo group. Tetrahydrocannabinol appears to offer significant control of nausea in most patients and exceeding by far that provided by prochlorperazine. The antiemetic activity of tetrahydrocanabinol versus metoclopramide and thiethylperazine in patients undergoing cancer chemotherapy. Colls BM, Ferry DG, Gray AJ, Harvey VJ, McQueen EG. A double blind-cross-over randomised clinical trial has been conducted to compare the antiemetic effects of tetrahydrocannabinol, thiethylperazine and metoclopramide. There were no significant differences in the antiemetic effects of these drugs. The incidence of adverse reactions as recorded by both the staff and the patients was significantly higher in the tetrahydrocannabinol group than in either the metoclopramide or thiethylperazine groups. This trial has established that in the dosages used tetrahydrocannabinol given by mouth has an antiemetic effect of approximately the same order as thiethylperazine and metoclopramide. However, its adverse effects are sufficiently greater than those of the other agents to prevent is widespread usage for this purpose. Tetrahydrocannabinol taken by mouth is not recommended as a routine antiemetic agent in cancer chemotherapy. Steele N, Gralla RJ, Braun DW Jr, Young CW. Cancer Treatment Report 1980 Feb-Mar;64(2-3):219-24. The antiemetic effect of oral nabilone, a synthetic cannabinoid, given at a dose of 2 mg every 12 hours was compared to oral slow-release capsules of prochlorperazine given at a dose of 10 mg every 12 hours by a double-blind crossover method in 37 patients receiving cancer chemotherapy. Patients received one of the following as the primary emetic stimulus: high-dose cis-dichlorodiammineplatinum(II) (DDP), low-dose DDP, mechlorethamine, streptozotocin, actinomycin D, or DTIC. Although results varied according to strength of emetic stimulus received, both nabilone and prochlorperazine appeared to produce antiemetic effects. Eighteen of the 37 patients achieved a complete or partial elimination of symptoms: seven with nabilone alone, three with prochlorperazine alone, and eight with each drug. Nabilone appeared to be the more effective antiemetic for patients who received chemotherapy agents other than high dose DDP; it was equivalent to prochlorperazine for those who did receive high-dose DDP. Side effects from prochlorperazine were limited to mild drowsiness occurring among 35% of the patients. The side effects from nabilone were drowsiness and dizziness which occurred frequently and were dose-limiting in 25% of patients. The antiemetic activity and side-effects of delta-9- tetrahydrocannabinol (THC) were evaluated in 116 patients (median age 61 years) receiving combined 5-fluorouracil and semustine (methyl CCNU) therapy for gastrointestinal carcinoma. In a double-blind study, patients were randomized to receive THC, 15 mg orally three times a day, prochlorperazine, 10 mg orally three times a day, or placebo. The THC had superior antiemetic activity in comparison to placebo, but it showed no advantage over prochlorperazine. Central nervous system side-effects, however, were significantly more frequent and more severe with THC. With the dosage and schedule we used, and in our patient population of largely elderly adults, THC therapy resulted in an overall more unpleasant treatment experience than that noted with prochlorperazine or placebo. Although THC may have a role in preventing nausea and vomiting associated with cancer chemotherapy, this role must be more clearly defined before THC can be recommended for general use. Delta-9-tetrahydrocannabinol as an antiemetic in cancer patients receiving high-dose methotrexate. A prospective, randomized evaluation. Annals of Internal Medicine 1979;91:819-824.
trial of oral and smoked delta-9-tetrahydrocannabinol (THC) as an antiemetic. reduction in nausea and vomiting on THC as compared to placebo. duration of nausea, and volume of emesis (P less than 0.001). the incidences of nausea and vomiting were 44%, 21%, and 6%, respectively. when compared with placebo in patients receiving high-dose methotrexate. A double-blind cross-over trial with delta-9-tetrahydrocannabinol (THC) and placebo was employed to test the antiemetic effect on nausea and vomiting after MOPP-therapy. Although THC had remarkable antiemetic effects, there side effects were severe. Most patients preferred the nausea and the vomiting after MOPP-therapy to the use of THC. A relation between the antiemetic action or the side-effects and the blood-level of THC could not be demonstrated. Med J Aust. 1979 Dec 15;2(12):657-9. The antinausea and antivomiting effects of delta-9-tetrahydrocannabinol (THC) in children receiving cancer chemotherapy were compared with those of metoclopramide syrup and prochlorperazine tablets in two double-blind studies. THC was found to be a significantly better antinausea and antivomiting agent, but not all patients obtained relief of nausea and vomiting with THC. In some patients, THC enhanced appetite during a course of chemotherapy. In two patients, a "high" associated with THC administrationwas reported. Drowsiness was reported significantly more frequently with THC. Herman TS, Einhorn LH, Jones SE, Nagy C, Chester AB, Dean JC, Furnas B, Williams SD, Leigh SA, Dorr RT, Moon TE. N Engl J Med. 1979 Jun 7;300(23):1295-7. When both drugs were compared, both nausea and vomiting episodes were significantly lower in patients given nabilone. Two double-blind, crossover trials comparing the antiemetic effectiveness of nabilone, a new synthetic cannabinoid, with that of prochlorperazine were conducted in patients with severe nausea and vomiting associated with anticancer chemotherapy. Of 113 patients evaluated, 90 (80 per cent) responded to nabilone therapy, whereas only 36 (32 per cent) responded to prochlorperazine (P less than 0.001). Complete relief of symptoms was infrequent, occurring only in nine patients (8 per cent) given nabilone. When both drugs were compared, both nausea (P less than 0.01) and vomiting episodes (P less than 0.001) were significantly lower in patients given nabilone. Moreover, patients clearly favored nabilone for continued use (P less than 0.001). Predominant side effects noted by patients were similar for both agents and included somnolence, dry mouth and dizziness but were about twice as frequent and more often severe in patients receiving nabilone. In addition, four patients (3 per cent) taking nabilone had side effects (hallucinations in three, hypotension in one) that required medical attention. Euphoria associated with nabilone was infrequent (16 per cent) and mild. Anecdotal accounts suggested that smoking marihuana decreases the nausea and vomiting associated with cancer chemotherapeutic agents. Oral delta-9-tetrahydrocannabinol was compared with placebo in a controlled, randomized, "double-blind" experiment. All patients were receiving chemotherapeutic drugs known to cause nausea and vomiting of central origin. Each patient was to serve as his own control to determine whether tetrahydrocannabinol had an antiemetic effect. Twenty-two patients entered the study, 20 of whom were evaluable. For all patients an antiemetic effect was observed in 14 of 20 tetrahydrocannabinol courses and in none of 22 placebo courses. For patients completing the study, response occurred in 12 of 15 courses of tetrahydrocannabinol and in none of 14 courses of placebo (P less than 0.001). No patient vomited while experiencing a subjective "high". Oral tetrahydrocannabinol has antiemetic properties and is significantly better than a placebo in reducting vomiting caused by chemotherapeutic agents. Background: Review commissioned in 1996 by the Department of Health (DOH). Aims: Assess therapeutic profile of cannabis and cannabinoids. Method: Medline search, references supplied by DOH and others, and personal communications. Results and Conclusions: Cannabis and some cannabinoids are effective antiemetics and analgesics and reduce intraocular pressure. There is evidence of symptom relief and improved well-being in selected neurological conditions, AIDS and certain cancers. Cannabinoids may reduce anxiety and improve sleep. Anticonvulsant activity requires clarification. Other properties identified by basic research await evaluation. Standard treatments for many relevant disorders are unsatisfactory. Cannabis is safe in overdose but often produces unwanted effects, typically sedation, intoxication, clumsiness, dizziness, dry mouth, lowered blood pressure or increased heart rate. The discovery of specific receptors and natural ligands may lead to drug developments. Research is needed to optimise dose and route of administration, quantify therapeutic and adverse effects, and examine interactions. Declaration of interest: Funding from DOH. Between writing this paper and its acceptance for publication, P.R. was appointed Medical Director of GW Pharmaceuticals. In 1996 I was commissioned by the Department of Health (DOH) to review the scientific literature regarding the potential therapeutic utility of cannabis and its derivatives. The review was based upon primary sources (identified from a Medline literature search, reference lists supplied by the DOH and the Institute for the Study of Drug Dependence, and personal communications with relevant academics and clinicians). This paper is a greatly shortened version of the review. The 4 years which have elapsed have seen little in the way of new clinical results but considerable advances in cannabinoid basic science (Institute of Medicine, 1999). Government licences have recently been granted for several controlled trials of both synthetic and plant-derived cannabinoids in multiple sclerosis and chronic pain. In January 2000, I was appointed Medical Director of GW Pharmaceuticals, a company established to derive medicinal extracts from standardised cannabis plants. The first formal report of cannabis as a medicine appeared in China nearly 5000 years ago when it was recommended for malaria, constipation, rheumatic pains and childbirth and, mixed with wine, as a surgical analgesic (Mechoulam, 1986). There are subsequent records of its use throughout Asia, the Middle East, Southern Africa and South America. Accounts by Pliny, Dioscorides and Galen remained influential in European medicine for 16 centuries. It was not until the 19th century that cannabis became a mainstream medicine in Britain. W. B. O'Shaughnessy, an Irish scientist and physician, observed its use in India as an analgesic, anticonvulsant, antispasmodic, anti-emetic and hypnotic. After toxicity experiments on goats and dogs, he gave it to patients and was impressed with its muscle-relaxant, anticonvulsant and analgesic properties, and recorded its usefulness as an anti-emetic. After these observations were published in 1842, medicinal use of cannabis expanded rapidly. It soon became available 'over the counter' in pharmacies and by 1854 it had found its way into the United States Dispensatory. The American market became flooded with dozens of cannabis-containing home remedies. Queen Victoria's personal physician wrote (Reynolds, 1890), on the basis of more than 30 years' experience, that "Indian hemp, when pure and administered carefully, is one of the most valuable medicines we possess". He found it incomparable for "senile insomnia", "night restlessness" and "temper disease" in both children and adults, but not helpful in melancholia, "very uncertain" in alcoholic delirium, and "worse than useless" in mania. It was very effective in neuralgia, period pains, migraine, "lightning pain of the ataxic patient" and gout, but useless in sciatica and "hysteric pains". He found it impressive in clonic spasms and certain epileptiform convulsions related to brain damage, but no good at all in petit mal or "chronic epilepsy", tetanus, chorea or paralysis agitans. It effectively relieved nocturnal cramps, asthma and dysmenorrhoea. Reynolds was writing at a time when the zenith of cannabis as prescribed medicine and home remedy was already past. Although Sir William Osler was still recommending it for migraine sufferers in 1913, it was by then in steep decline because of variable potency of herbal preparations, poor storage stability, unpredictable response to oral administration, increasing enthusiasm for parenteral medicines and availability of potent synthetic alternatives, commercial pressures and American concern about recreational use. Cannabis was outlawed in 1928 by ratification of the 1925 Geneva Convention on the manufacture, sale and movement of dangerous drugs. Prescription remained possible until final prohibition under the 1971 Misuse of Drugs Act, against the advice of the Advisory Committee on Drug Dependence. In the USA, medical use was effectively ruled out by the Marijuana Tax Act 1937. This ruling has been under almost constant legal challenge and many special dispensations were made between 1976 and 1992 for individuals to receive 'compassionate reefers'. 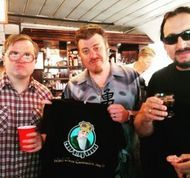 Although this loophole has been closed, a 1996 California state law permits cultivation or consumption of cannabis for medical purposes, if a doctor provides a written endorsement. Similar arrangements apply in Italy and Canberra, Australia. Cannabinol was isolated in 1895 and cannabidiol in 1934, but the most significant discovery was that of [DELTA]9-tetrahydrocannabinol (THC) in 1964. Chromatographic and spectroscopic methods subsequently uncovered many closely related compounds. Capsules of synthetic THC (dronabinol) have been available for restricted medical use in the USA since 1985. Nabilone, a synthetic THC analogue, was marketed in 1983 and is the only cannabinoid licensed for prescription in the UK, restricted to treatment of nausea and vomiting caused by cytotoxic chemotherapy unresponsive to conventional anti-emetics. Use in other indications is only possible on a 'named patient' basis if the drug is supplied by a hospital pharmacy. In 1988, a specific protein receptor (known as CB1) for THC was discovered in mouse nerve cells. This mediates most of the central nervous system (CNS) responses to cannabinoids, and is abundant in basal ganglia, hippocampus and cerebellum, globus pallidus, substantia nigra and cerebral cortex. An endogenous ligand was identified in 1992 and labelled anandamide (ananda: 'bliss' in Sanskrit). Anandamide has analgesic and tranquillising effects in animals, is involved in muscle coordination and affects the secretion and function of certain hormones. Other endogenous agonists almost certainly exist. In 1993, a second receptor (CB2) was identified in rat spleen macrophages, and this occurs only outside the CNS. There is scope for chemical manipulation of cannabinoids to maximise selectivity for CB2 and so avoid psychoactive effects. It is thought this receptor has relevance for anti-inflammatory and immunosuppressive activity. The drugs used to treat cancer are among the most powerful, and most toxic, chemicals used in medicine. They kill both cancer cells and healthy cells, producing extremely unpleasant and dangerous side effects. The most common is days or weeks of vomiting, retching, and nausea after each treatment. The feeling of loss of control is highly depressing, and patients find it very difficult to eat anything, and lose weight and strength. People find it more and more difficult to sustain the will to live, and many chose to discontinue treatment, preferring death to treatment. Cannabis can be used as an antiemetic, a drug which relieves nausea and allows patients to eat and live normally. Despite great advances in the last few years of antiemetic research, cannabis is safer, cheaper and often more effective than standard synthetic antiemetics. Smoking cannabis can be more effective than taking it (or its synthetic derivatives such as Marinol) orally as patients it difficult to keep anything down long enough for it to have an effect. 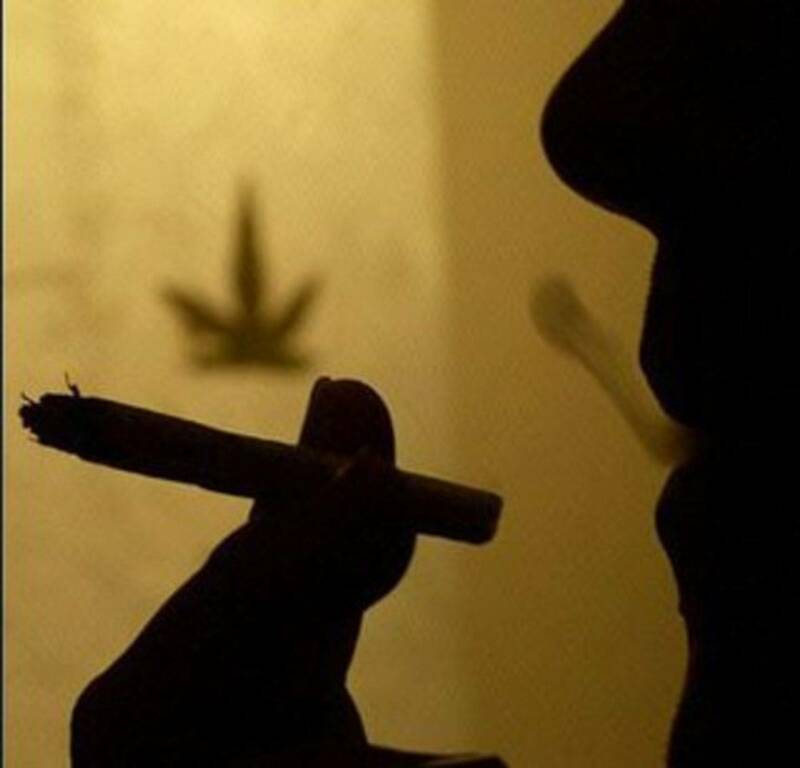 Smoking cannabis produces an immediate effect, and patients find it easier to control the dosage. Additionally the euphoric properties act as an anti-depressant, and the hunger and enjoyment of food properties ('the munchies') make weight gain easy, and these increase the chances of recovery. The method by which chemotherapy generates nausea and vomiting is not entirely certain, although studies point to it being caused by receptor stimulation in the central nervous system or gastrointestinal tract. However, cannabis as an antiemetic seems to work via a different mechanism than the currently-used antiemetic drugs in this field (such as corticosteroids). It is therefore worthy of investigation whether a combination of cannabinoids and existing therapies may benefit the patient more than either of the two taken separately. It also suggests that patients who do not respond well to traditional antiemetic medications may find greater benefit with cannabis-based drugs. A relatively large number of studies have been done on the anti-emetic properties of cannabis in regard to the negative effects of chemotherapy. Almost invariably cannabis (and some of its constituent cannabinoids) have been found effective. As a result of this, in 1985 the US FDA licenced synthetic THC (Dronabinol) for these symptoms. In the UK however it is not licensed in this way. It is actually possible to prescribe Dronabinol to patients in the UK, but only on an individual basis. This is very rarely done, perhaps not surprisingly given the large amount of administrative obstacles that need to be overcome. However, in 1982 Nabilone (an analogue of delta-9-THC) was licensed in the UK to allow it to be prescribed for nausea following chemotherapy, as long as other treatment was ineffective and that it was solely used within a hospital environment. In terms of efficacy, cannabis has several competitors as an antiemetic. However, the Institute of Medicine's 1999 report summed it up nicely when it stated that 'the critical issue is not whether marijuana of cannabinoid drugs might be superior to the new drugs, but rather whether there is a group of patients who might obtain added or better relief from marijuana or cannabinoid drugs'. Both scientific research and testimonies of currently-criminalised users seem to state that this group of patients does indeed exist. The treatment of nausea and vomiting is not the only way in which cannabis can help cancer sufferers. Both the analgesic (pain-relieving) and appetite-stimulating qualities of cannabis can make a patient's life both longer and far more bearable. For the complete collection of testimonies from medical users of cannabis, see our medical testimony database. Do you find that cannabis helps you with this, or any other, medical condition? If so, please tell us about how it benefits you via this form. Anonymous submissions welcome! THC was almost always found to produce significant antiemetic properties. One of the first studies was by Sallan et al (1975). The study compared oil-based capsules containing THC given to 20 patients both before and after chemotherapy treatment. Fourteen of the patients found THC to be an effective antiemetic. Chang et al (1979) found that THC was an effective antiemetic to counteract the nauseous effects of the methotrexate medication used in chemotherapy, with 14 out of 15 patients reporting some relief of nausea and vomiting. Two years later Chang et al found that it was also effective in patients undergoing treatment with anthracyclines (which produce a higher level of emetic behaviour) albeit to a limited extent. Lucas et al (1980) gave THC to 53 patients to whom other treatments were unsatisfactory. 10 suffered no vomiting after chemotherapeutic treatment. Another 28 had more than a 50% reduction in vomiting. Studies by Frytak et al (1979), Orr et al (1980) and Sallan et al (1980) showed a comparison between patients receiving the antiemetic drug prochlorperazine and THC. Typically oral THC was found to be of a similar efficiacy to prochlorperazine. Whilst comparing THC to metoclopramide, Gralla et al (1984) found that THC completely stopped vomiting in 13% of patients, and almost eliminated it in another 27%. With regard to the lesser-studied variants of THC, McCarthy et al (1984) found that a metabolite of THC, 11-OH-THC was less effective as an antiemetic than THC. Razden (1986) however found that delta-8-THC completely prevented any emesis in 8 children undergoing chemotherapy. Moreover, delta-8-THC is significantly less psychoactive than delta-9-THC and very few side-effects were reported. As stated, the synthetic cannabinoids Nabilone and Levonantradol have also been investigated (Steele et al 1980 and Tyson et al 1985 respectively). These produced similarly effective antiemetic results to THC. Herman et al (1979) found that medicating with Nabilone was significantly more effective that treatment with the standard antiemetic prochlorperazine. Staquet et al (1981) investigated another THC homologue known as BRL-4664. This too showed some antiemetic effect. Vincigeurra et al (1988) found that 78% of 56 patients with nausea who were resistant to standard drugs became symptom free through inhaling cannabis. All of these found that cannabis was either a 'moderately effective' or 'highly effective' form of therapy. The method of administration for medicinal cannabis can be of importance. Firstly, patients suffering severe vomitting may not be able to keep orally-given cannabis down long enough to have effect. Inhalation, whether by smoking or other means, removes this obstacle, and studies such as Ohlsson's (1980) have shown that the effects of inhaled cannabis start much sooner (almost immediately) than if it is taken orally. Levitt et al (1984) compared chemotherapy patients given either oral THC or smoked cannabis. Both appeared to have similar antiemetic effectiveness, with about 25% of each group gaining total control of emesis. In a post-treatment survey, 35% of patients slightly preferred receiving oral THC, 20% preferred smoking cannabis and 45% had no preference. On the other hand, Chang et al (1979) found that smoking cannabis rather than taking it orally seemed more effective. In addition, a report published by the Board of Pharmacy in Tennessee (1983) found a 23% higher success rate in those patients who smoked cannabis rather than those who took oral THC. McNeill (1983) found the same overall result. 75% of patients who took any form of THC showed a significant improvement in their condition. When routes of administration were taken into account it was found that 90% of those who inhaled cannabis showed and improvement, compared to 60% of those who took it orally. Likewise Vincigeurra et al's (1988) study also found inhaled cannabis to have advantages over THC taken orally. There seems to be no definite answer as to whether or not the psychoactive effects of cannabis play a part in its antiemetic effectiveness. Gralla et al (1984) reported no correlation between the psychoactive effects (in terms of euphoria or dysphoria) and the effectiveness of the antiemetic properties. Sallan et al (1980) reported the opposite! On a less pharmacological note, Doblin and Kleiman (1991) sent a questionnaire to US oncologists (cancer specialists). 44% of the respondents had recommended illegal use of cannabis and half of them would prescribe it if it were legal. The Institute of Medicine's report (1999) concluded that after reviewing the most valid trials, 'the evidence indicated that cannabinoids reduce emesis in about one quarter of patients receiving cancer chemotherapy' and that 'the side effects associated with cannabinoid use are generally tolerable'. Likewise, in a review of the research conducted by Hall et al (1994), it was concluded that '...THC is superior to placebo, and equivalent in effectiveness to other widely-used anti-emetic drugs...' when used to medicate these symptoms. Chang AK, Shiling DJ, Stillman RC, Goldberg NH, Seipp CA, Barofsky I, Rosenberg SA. (1981) A prospective evaluation of delta-9-tetrahydrocannabinol as an antiemetic in patients receiving adriamycin and cytoxan chemotherapy. Cancer 47:1746-51. Frytak S. Moertel CG, O'Fallon J. et al. (1979) Delta-9-tetrahydrocannabinol as an antiemetic in patients treated with cancer chemotherapy: a double comparison with prochloperazine and a placebo. Annals of Internal Medicine 91 :825-830. Gralla RJ, Tyson LB, Borden LB, et al. (1984) Antiemetic therapy a review of recent studies and a report of a random assignment trial comparing metoclopramide with delta-9-tetrahydrocannabinol. Cancer Treatment Reports 68:163-172. W. Hall, et al. (1994) The Health and Psychological Consequences of Cannabis Use, Canberra, Australian Government Publishing Service 189. Herman, T.S., Einhorn, L.H., Jones, S.E., Nagy, C., Chester, A.B., Dean, J.C., Furnas, B., Williams, S.D., Leigh, S.A., Dorr, R.T., and Moon, T.E. (1979) Superiority of nabilone over prochlorperazine as an antiemetic in patients receiving cancer chemotherapy. N. Engl. J. Med. 300: 1295­1298. House of Lords Select Committee on Science and Technology (1998) Science and Technology - Ninth report. Science and Technology Committee Publications, UK. Levitt M, Faiman C, Hawks R. et al. (1984) Randomized double-blind comparison of delta-9- THC and marijuana as chemotherapy antiemetics. Proceedings of the American Society for Clinical Oncology 3:91. Lucas, V.S.,Jr., and Laszlo, J. (1980) Delta­9­tetrahydrocannabinol for refractor vomiting induced by cancer chemotherapy. J. Am. Med. Assoc. 243: 1241­1243. McCarthy LE, Flora KP, Vishnuvajjala BR. (1984) Antiemetic properties and plasma concentrations of delta-9-tetrahydrocannabinol against cisplatin vomiting in cats. In: Agurell S. Dewey WL, Willette RE, Editors The Cannabinoids: Chemical, Pharmacologic and Therapeutic Aspects. Orlando, FL: Academic Press. Pp. 859- 870. Ohlsson A, Lindgren J-E, Wahlen A, Agurell S. Hollister L E, Gillespie HK. (1980) Plasma delta-9-tetrahydrocannabinol concentrations and clinical effects after oral and intravenous administration and smoking. Clinical Pharmacology and Therapeutics 28:409-416. Orr LE, McKernan JF, Bloome B. (1980). Antiemetic effect of Tetrahydrocannabinol. Compared with placebo and prochlorperazine in chemotherapy-associated nausea and emesis. Archives of Internal Medicine 140:1431 -3. Razdan RK. (1986) Structure-activity relationships in cannabinoids. Pharmacology Review 38:75-149. Sallan SE, Cronin CM, Zelen M, et al. (1980) Antiemetics in patients receiving chemotherapy for cancer: a randomized comparison of delta-9-tetrahydrocannabinol and prochlorperazine. New England Journal of Medicine 302: 135 - 138. Staquet, M., Bron, D., Rosencweig, M., and Kenis, Y. (1981) Clinical studies with a THC homolog (BRL­4664) in prevention of cisplatin­induced vomiting. J. Clin. Pharmacol. 21: 60S­63S. Steele N. Gralla RJ, Braun DW, Jr. (1980) Double-blind comparison of the antiemetic effects of nabilone and prochlorperazine on chemotherapy-induced emesis. Cancer Treatments Report 64:219-224. Tyson LB, Gralla RJ, Clark RA, et al. (1985) Phase I trial of levonantradol in chemotherapy- induced emesis. American Journal of Clinical Oncology 8:528-532. Vincigeurra, Moore and Brenan, (1988) Inhalation Marijuana as an Anti-emetic for Cancer Chemotherapy. NY State J. Med. 88 525-527. For a large collection of research materials, see our research page. The US Drug Enforcement Agency held hearings in 1987 to determine whether cannabis should be allowed as medicine. Doctors, nurses, patients and academics testified that they had witnessed people using cannabis as a medicine sucessfully. A large part of the report is concerned with cancer chemotheraphy, and it makes astonishing reading. The Cancer Online Information Sources FAQ has a large number of links to sites which may hold more information of relevance. Lane M, Vogel CL, Ferguson J, Krasnow S, Saiers JL, Hamm J, Salva K, Wiernik PH, Holroyde CP, Hammill S, et al. Hautklinik und Poliklinik der Georg-August-Universität Göttingen,. BACKGROUND: Loss of appetite and nausea can reduce the quality of life of patients with malignant melanoma and liver metastases. Often established antiemetic drugs fail to bring relief. Tetrahydrocannabinol (THC, Marinol (TM)), which is the active agent of Indian hemp, has been used successfully in this situation for other malignant tumors. PATIENTS AND METHODS: We treated 7 patients with hematogenous metastatic melanoma and liver metastases suffering from extensive loss of appetite and nausea supportively with dronabinol (Marinol((R))). All of these patients had previously received standard antiemetic therapy without adequate relief. Dronabinol is a synthetic Delta-tetrahydrocannabinol. The drug was administered in capsule form. We evaluated the palliative effects of dronabinol with a special patient evaluation form, which was filled out at the beginning of the therapy and again after 4 weeks. RESULTS: The majority of patients described a significant increase in appetite and decrease in nausea. These effects remained for some weeks, but then decreased as metastases progressed and the general condition worsened. All of the patients experienced slight to moderate dizziness, but it was not sufficiently troubling to cause interruption or termination of therapy.CONCLUSION: Loss of appetite and nausea due to liver metastases of malignant melanoma can be treated in individual cases supportively with Dronabinol. In a randomized, double-blind, crossover trial, nabilone was compared to prochlorperazine for control of cancer chemotherapy-induced emesis in 30 children 3.5 to 17.8 years of age. All subjects received two consecutive identical cycles of chemotherapy with the trial antiemetics given in accordance to a body weight-based dosage schedule beginning eight to 12 hours before treatment. The overall rate of improvement of retching and emesis was 70% during the nabilone and 30% during the prochlorperazine treatment cycles (P = .003, chi 2 test). On completion of the trial, 66% of the children stated that they preferred nabilone, 17% preferred prochlorperazine, and 17% had no preference (P = .015, chi 2 test). Major side effects (dizziness, drowsiness, and mood alteration) were more common (11% v 3%) during the nabilone treatment cycles. CNS side effects appeared to be dose related and were most likely to occur when the nabilone dosage exceeded 60 micrograms/kg/d, but individual tolerance to nabilone varied considerably. Lower dosages of nabilone were associated with equivalent efficacy and no major side effects. Nabilone appears to be a safe, effective, and well-tolerated antiemetic drug for children receiving cancer chemotherapy. Although major side effects may occur at higher dosages, nabilone is preferable to prochlorperazine because of improved efficacy. A prospective randomised double blind crossover trial was conducted comparing the new synthetic cannabinoid nabilone with oral domperidone in a group of children receiving repeated identical courses of emetogenic chemotherapy for a variety of malignant diseases. Eighteen of 23 consecutive eligible children, aged 10 months to 17 years, completed the trial. When taking nabilone they experienced significantly fewer vomiting episodes and less nausea, and two thirds expressed a preference for the drug. The most common side effects of treatment with nabilone were somnolence and dizziness, with one patient being disturbed by hallucinations. The results indicate that nabilone is an effective antiemetic for children having chemotherapy, even for young children. It seems to be superior in this respect to domperidone, and although it has a higher incidence of side effects, these are mostly acceptable to patients. It can be recommended as an alternative to conventional antiemetic treatment throughout childhood. Full text is available as a scanned copy of the original print version. Get a printable copy (PDF file) of the complete article (502K), or click on a page image below to browse page by page. Links to PubMed are also available for Selected References. Sallan SE, Zinberg NE, Frei E., 3rd Antiemetic effect of delta-9-tetrahydrocannabinol in patients receiving cancer chemotherapy. N Engl J Med. 1975 Oct 16;293(16):795–797. Herman TS, Einhorn LH, Jones SE, Nagy C, Chester AB, Dean JC, Furnas B, Williams SD, Leigh SA, Dorr RT, Moon TE. Superiority of nabilone over prochlorperazine as an antiemetic in patients receiving cancer chemotherapy. N Engl J Med. 1979 Jun 7;300(23):1295–1297. Einhorn L. Nabilone: an effective antiemetic agent in patients receiving cancer chemotherapy. Cancer Treat Rev. 1982 Dec;9 Suppl B:55–61. O'Meara A, Mott MG. Domperidone as an antiemetic in paediatric oncology. Cancer Chemother Pharmacol. 1981;6(2):147–149. Swann IL, Thompson EN, Qureshi K. Domperidone or metoclopramide in preventing chemotherapeutically induced nausea and vomiting. Br Med J. 1979 Nov 10;2(6199):a1188–1188. Swann IL, Thompson EN, Qureshi K. Domperidone or metoclopramide in preventing chemotherapeutically induced nausea and vomiting. Br Med J. 1979 Nov 10;2(6199):1188–1188. Lemberger L, Rubin A, Wolen R, DeSante K, Rowe H, Forney R, Pence P. Pharmacokinetics, metabolism and drug-abuse potential of nabilone. Cancer Treat Rev. 1982 Dec;9 Suppl B:17–23. Morrow GR. Prevalence and correlates of anticipatory nausea and vomiting in chemotherapy patients. J Natl Cancer Inst. 1982 Apr;68(4):585–588. Cannabis preparations have been used for millenia as antiemetic drugs. With the identification of delta-9-tetra-hydrocannabinol (delta-9-THC) (Fig 1) as the psychoactive Cannabis constituent its evaluation as an antivomiting agent was also made possible. It was indeed found that delta-9-THC prevents or reduces vomiting induced by anticancer chemotherapy. Delta-9-THC is marketed under the generic name Dronabinol. Depending on the clinical protocol used, delta-9-THC (5-10 mg/m2 p.o.) prevents vomiting and nausea in some patients and reduces these symptoms in others. The side effects are those noted in marijuana users, in particular elderly ones: drowsiness, dizziness and in rare cases anxiety. Mood changes usually predominate in younger patients. DeIta-8-THC (Fig 1 ) is a double bond isomer of delta-9-THC. It is less psychotropic than delta-9-TH, but its antiemetic potential has not been investigated so far. In preclinical antiemetic studies in pigeons (to be reported separately), using the methodology previously described by us for delta-9-THC, we found that delta-8-THC is at least as potent as delta-9-THC. It is much more stable than delta-9-THC to various chemical treatments, including oxidation, and is considerably less expensive to produce than delta-9-THC. Hence. it seemed of potential therapeutic interest to investigate the antiemetic effect of delta-8-THC in patients. We chose to administer delta-8-THC to children, who were expected to vomit on anticancer chemotherapy. The reason for the age limitation was the general (but not documented) belief that most side effects of delta-9-THC, in particular anxiety, are more prevalant in an adult population than in a younger one. Hence delta-8-THC could possibly be administered to children in higher doses than those given to adult patients. We report now that delta-8-THC in an open label evaluation was found to be an excellent pediatric antiemetic with nonsignificant side effects. We chose an open label trial for ethical reasons. A clinical trial based on placebo versus delta-8 THC as an antiemetic agent during anticancer treatment is unacceptable. Our original protocol envisaged a comparison between metoclopramide (0.3 mg/kg) and delta-8-THC (18 mg/m2). However preliminary results indicated complete block of emesis with delta-8-THC, while metoclopramide showed variable results. Most of the children (5 out of 8) vomited with this dose of metoclopramide. In higher doses (0.5 mg/kg dose or above) metoclopramide caused extrapyramidal effects. Hence for ethical reasons the protocol was modified to an open trial design. However, we would like to point out that over a period of about 10 years, when most of the antineoplastic protocols followed in the present study were used in our clinic, emesis was observed in about 60% of all pediatric cases even though metoclopramide (0.3 mg/kg) was used as antiemetic agent. Ondansetrone and other HT3-receptor blockers are today the drugs of choice for chemotherapy-induced vomiting and nausea. While such therapy is superior to previously used treatments (dopamine antagonists, corticosteroids) adverse effects such as headache are troublesome and its efficiency in delayed vomiting is questionable.Ondansetrone is also a very expensive drug and less expensive alternatives should be made available..Hence additional therapeutic protocols are required. Delta-8-THC was prepared from natural cannabidiol by cyclization (Figure 1) and purified by chromatography as previously described. It was analyzed by gas chromatography and was found to be 98% pure. High-dose Cytarabine and Asparaginase (Patient 1) MOPP-ABV protocol (Patient 2). This protocol is a standard combination of Mechlorethamine hydrochloride, Vincristine, Procarbazine, Prednisone, Doxorubicin, Bleomycin and Vinblastine. BFM protocol (patients 3 and 8). This protocol is a complicated standard protocol consisting of numerous antineoplastic drugs (Vincristine, Daunorubicine, L-Asparaginase, Cyclophosphamide, Cytarabine, Mercaptopurine, Etoposide, Methotrexate, Thioguanine) and 3 types of corticosteroids (Prednisone, Hydrocortisone, Dexamethasone) in p.o., i.v. and intratecal administrations. National Wilm’s tumor study protocol (NWTS-4) (Patient 4). This protocol is a standard combination of Vincristine, Doxorubicin, Dactinomycin. Amsacrine-high dose Cytarabine protocol (Patient 5). This is a standard protocol consisting of Cytarabine and Amsacrine. Burkitt's lymphona protocol (Patient 6). This is a standard protocol consisting of Vinscristine, Doxorubicin Cyclophosphamide, Methotrexate and Prednisone. Rezidive study. A.L.L. - Rez BFM 87 protocol (Patient 7). This is a standard complicated protocol consisting of numerous antineoplastic drugs. In addition to drugs mentioned above it includes Ifosfamide and Vindesine. The present study on prevention of vomiting due to antineoplastic therapy took place over a 2 year period with 8 patients. Details of their antineoplastic treatment and side effects of the antiemetic therapy are presented in Table 1. The mild side effects observed were reported by the physician and nurse in charge. Chemotherapy protocols of the types indicated almost invariably cause intense vomiting, which starts about 2 hrs after the initiation of chemotherapy and gradually ends over a 24 hr period. In prelimary trials we tried to end the antiemetic therapy after the first or second dose of the cannabinoid, i.e. after 6 or 12 hrs. Vomiting started in most cases. Hence, in the recorded trial, all children were given 4 doses (every 6 hours) for 24 hrs. When the antiemetic protocol described in the "Methods, patients and clinical protocol" section was strictIy followed, no emesis was noted during the 24 hrs of treatment or over the next two days. In one case (patient D.E. ), delta-8-THC therapy initially was refused. The patient experienced debilitating vomiting for 24 hrs after the antineoplastic treatment. During the second treatment cycle (which took place after 8 days), at the patient's family request, delta-8-THC treatment was initiated. No vomiting occurred. In a second case (A.M.), the patient refused antiemetic treatment during a relapse of his disease as it was based on an "illicit drug" (Cannabis). Repeated vomiting took place. Renewal of the THC treatment, before the next administration of antineoplastic drugs, prevented additional vomiting. As indicated in Table 1 the side effects were observed in only 2 of the 8 patients: some irritability and slight euphoria which in children is difficult to quantify. No anxiety or hallucinogenlc effects were noted in spite of the high doses administered. Table 1. Delta-8-THC Administered to Children Treated for Various Hematologic Cancers. Delta-8-THC is an isomer of delta-9-THC, the major natural constituent of Cannabis from which it differs only in the position of the double bond. The stereochemistry of the two isomers is identical; their chemical behavior is in most cases very similar; their metabolism in vivo and in vitro follow the same pathways . The major chemical difference between them is that delta-9-THC is easily oxidized to the biologically inactive cannabinol; delta-8-THC is stable, does not oxidize to cannabinol and has a very long shelf life. Due to their close structural similarity, delta-9-THC and delta-8-THC present essentially identical pharmacological profiles. Quantitatively, however, delta-8-THC differs from delta-9-THC in being about twice less potent in most, but not all pharmacological tests. In monkeys delta-8-THC causes a general behavior depression in doses reported to be higher than the doses of delta-9-THC required to produce similar effects. A direct comparison of the effects of delta-8-THC (20 and 40 mg total dose) and of delta-9-THC (20 mg total dose) orally administered to human volunteers has been published. The spectrum of clinical effects was similar with both isomers, but delta-8-THC was considered to be only 3/4 as psychotropically potent as delta-9-THC. The same ratio of activity was observed on i.v. administration. Delta-9-THC (4 mg/kg i.m.) blocked the emetic response in cats caused by cisplatin (7.5 mg/kg i.v.. The metabolite 11-hydroxy-delta-9-THC, which is considerably more psychotropic than delta-9-THC, was less antiemetic than delta-9-THC showing that, in cats at least, there is no parallelism between the psychotropic effects and the antiemetic ones. Indeed, we have recently shown that a non-psychotropic cannabinoid (HU-211) is more potent than delta-9-THC as an antiemetic. The LD50 values for Fischer rats treated orally with single doses of delta-9-THC and delta-8THC, and observed for 7 days, are 1910 mg/kg and 1980 mg/kg (for males) respectively and 860 mg/kg (for females) . The histopathological changes caused by these extremely high doses were essentially the same for both delta-8-and delta-9-THC. LD50 could not be determined in either rhesus monkeys or dogs as single oral doses of up to 9000 mg/kg of either delta-8- or delta-9-THC in dogs or monkeys were non-lethal. Histopathological alterations did not occur in either dogs or monkeys. A chronic oral toxicity study in rats with both isomers has been reported. delta-8-THC was found to be slightly less toxic than the delta-9 isomer. With delta-8-THC, after 119 days of consecutive administration, no deaths were observed in males with daily doses of up to 400 mg/kg; 1/10 deaths occurred at 500 mg/kg. With females, no deaths were caused by doses of up to 250 mg/kg; 5/13 deaths were recorded at 400 mg/kg and 12/67 were recorded at 500 mg/kg. The above described animal and human data indicated that delta-8-THC can be safely administered to human patients. We found, as expected, that young children with different hematologic cancers, who were treated with a variety of anticancer drug protocols, could be administered doses of delta-8-THC considerably higher than the doses of delta-9-THC generally administered to adult cancer patients without the occurrence of major side effects, (5-10 mg/m2 of delta-9-THC generally recommended for adult patients versus 18 mg/m2 of delta-8-THC used by us in children). As mentioned above, the prevention of vomiting was complete, regardless of the antineoplastic protocol followed . We observed no delayed nausea or vomiting. Although the number of pediatric cancer patients treated so far is small, the total number of treatments is considerable (480 times) as most patients underwent several treatment cycles. Without the cannabinoid therapy we would have expected the patients to vomit in most treatments. Author: New Mexico State Dept. a significant predictor of improvement. From the Surgery and Biometric Research Branches. Division of Cancer Treatment, National Cancer Institute; the Laboratory of Clinical Psychopharmacology and Unit on Geriatric Psychiatry, Division of Special Mental Health Research, National Institute of Mental Health; and the Division of Research. National Institute on Drug Abuse; National Institutes of Health; Bethesda, Maryland. Abstract: Fifteen patients with osteogenic sarcoma receiving high-dose methotrexate chemotherapy were studied in a randomized, double blind, placebo-controlled trial of oral and smoked delta-9-tetrahydrocannabiriol (THC) as an antiemetic. Each patient served as his or her own control. Fourteen of 15 patients had a reduction in nausea and vomiting on THC as compared to placebo. Delta-9-tetrahydrocannabinol was significantly more effective than placebo in reducing the number of vomiting and retching episodes, degree of nausea, duration of nausea, and volume of emesis (p < 0.001). There was a 72% incidence of nausea and vomiting on placebo. When plasma THC concentrations measured < 5.0 ng/mL, 5.0 to 10.0 ng/mL, and > 10.0 ng/mL. The incidences of nausea and vomiting were 44%, 21%, and 6%, respectively. Delta-9-tetrahydrocannabinol appears to have significant antiemetic properties when compared with placebo in patients receiving high-dose methotrexate. Nausea and vomiting are frequent and distressing side effects of cancer chemotherapy. The severity of these symptoms contributes to the decreased ability of patients to undergo long-term chemotherapy schedules and impairs their quality of life (1, 2). Despite the magnitude of this problem, there have been few clinical reports (3-11) investigating the effectiveness of various antiernetics in controlling the nausea and vomiting associated with chemotherapy. Conventional antiemetics, when tested, have been relatively ineffective in reducing these side effects. Sallan and colleagues (7) were able to show that oral-delta-9-tetrahydrocannabinol (THC) had significant antiemetic properties in patients receiving various chemotherapy regimens. As in previous antiemetic studies, nausea and vomiting were assessed solely from subjective impressions based on patient interviews the day after each drug trial. The purpose of our study was to examine in a randomized, double-blind, placebo-controlled trial the efficacy of oral and smoked THC as an antiemetic. To do this we obtained both objective and subjective data during each drug trial. Serial blood samples were drawn during the course of each trial to ascertain the effective plasma concentration of THC needed to obtain an antiemetic effect. Fifteen patients with osteogenic sarcoma treated by the Surgery Branch of the National Cancer Institute were studied. Ten were males and five, females; they ranged in age from 15 to 49 years (median, 24 years). All patients had undergone surgical removal of their primary tumor (14 amputations and one chest-wall resection) and were disease free upon entry into the study. All patients received adjuvant high-dose methotrexate therapy with leucovorin calcium rescue at 3-week intervals for a total of 18 months. Methotrexate was given at a constant dose of 250 mg/kg in each patient. Before participating in the study each patient was evaluated by a psychiatrist (D.S.) to screen out those likely to have untoward reactions to psychoactive drugs. The study was thoroughly explained to each patient and signed informed consent obtained. Each patient was told he or she would "blindly" receive either placebo or "THC, a marijuana-type compound" during the day of chemotherapy. Each patient served as his or her own control. Patients accepted into the study entered Phase I and received THC three times and placebo three times during the six subsequent hospital admissions for chemotherapy infusion. The order of THC and placebo administration for these six methotrexate infusions was randomized into three paired trials of either placebo-THC or THC-placebo. At the end of three paired trials, which took approximately 5 to 6 months to complete, patients were classified as "excellent, "fair," or "nonresponders" to THC (see below) and entered Phase II. In Phase II, "excellent" responders received eight THC trials and two placebo trials during their next 10 courses of chemotherapy. The enriched sequence of THC trials was designed to assess whether repeated trials of THC resulted in continued antiemetic responses. If the patient was a "fair" responder or "non responder" to THC. The dose was increased by one third, and the patient re-entered Phase I to see if additional benefits could be obtained. Delta-9-tetrahydrocannabinol capsules and cigarettes were supplied by the National Institute on Drug Abuse. The THC was suspended in sesame oil and placed in gelatin capsules. Identical-appearing placebo capsules contained only sesame oil. Placebo cigarettes were produced by multiple extractions of natural marijuana with ethanol. The active cigarettes were prepared from these placebo cigarettes by injection of THC through a spinal needle; each weighed 900 mg and contained 1.93% THC (about 17.4 mg) (12). The odor and taste of a lit placebo cigarette were identical to those of a marijuana cigarette. Delta-9-tetrahydrocannabinol was administered at a dose of 10 mg/m2 given orally every 3 h for a total of five doses. The first dose was given at 0700 h. 2 h before the 6-h methotrexate infusion. All patients had undergone an 8-h fast before chemotherapy infusion to standardize pretreatment oral intake. In the event of a vomiting episode, the patient was given a THC cigarette for the remaining doses of that trial. Variation in the amount of smoke inhaled by each patient was minimized by using a standard inhalation technique (12). Each patient would hold the inhalation for 10 seconds, then exhale; after a 50 second wait the cycle was repeated until the whole cigarette was smoked. Most patients finished their cigarettes within 8 mm. A dose modification was made only in the event of a dysphoric reaction, in which case all subsequent oral or smoked doses were decreased by one third for that patient. Placebo drug administration was handled in a similar fashion. Neither the patients nor the nursing staff was informed which drug was being administered. Data collection for each trial started at 0700 h and lasted until 2400 h the day of chemotherapy. A member of the nursing staff rated the patient every hour by completing an objective questionnaire that measured number of vomiting episodes (an event producing > 30 mL of emesis), number of retching episodes, volume of emesis, degree of nausea (0 to 3 point scale: 0 = none; 1 = slightly; 2 = moderately; 3 = greatly), duration of nausea, and volume of oral intake. Similarly, once during each wakeful hour, the patient completed a subjective questionnaire rating the psychological "high" (0 to 3 point scale: 0 = none; 1 = slightly; 2 = moderately; 3 = greatly), degree of nausea, degree of comfort, and other drug side effects (questionnaire available upon request). Four variables used to evaluate individual responses to THC and placebo were the number of vomiting and retching episodes, volume of emesis, degree of nausea, and duration of nausea. The nausea and vomiting variables on all completed paired THC trials and all placebo trials in Phase I were summed. An "excellent" response was defined as a > 80% reduction for all four nausea and vomiting variables on THC as compared to placebo. A "fair" response was defined as > 30% but < 80% reduction of at least three study variables while on THC. "No response" was defined as < 30% reduction of at least two study variables while on THC. Five-milliliter aliquots of venous blood were drawn from a heparin lock placed in each patient the day of chemotherapy. Blood samples were drawn immediately before each THC or placebo dose and 1 hour later. Within 6 h after collection in glass tubes, plasma was drawn off heparinized blood samples and subsequently stored at - 40 degrees Centigrade. Plasma samples were quantitatively analyzed for THC by Battelle Laboratories, Columbus, Ohio. The analysis was done by gas chromatography/chemical ionization-mass spectrometry (13, 14). Deuterium-labeled THC was used as an internal standard. Statistical analyses were restricted to Phase I of the study. The data were analyzed by three different methods. The first method, described by Koch (15), used only data for the first paired trial. This method tested whether the relative efficacy of THC or placebo depended on the order of administration in the first two trials, whether one drug was more effective than the other, and whether the effectiveness of both drugs changed from the first trial to the second. In the second method of analysis, for each study variable and each patient, the sum of the values of Phase-I paired trials in which THC was administered was subtracted from the sum of the Phase-I paired trials in which placebo was administered. The sign of this difference was ascertained for each patient and each variable and a sign test done. The third method of analysis consisted of a blocked Wilcoxon test for each variable in which the 15 patients determined the blocks. The data within each block consisted of the Phase-I paired trials for that patient. All significance levels correspond to two-tailed tests. 1Sixty-four trials: 32 delta-9-tetrahydrocannabinol, 32 placebo. 2 p < 0.001 (sign test and blocked Wilcoxon test). Between August 1977 and September 1978, 19 patients with osteogenic sarcoma receiving high-dose methotrexate were approached for entry into the study. Fifteen patients agreed to participate. None of these patients was deemed ineligible for the study based on psychiatric evaluations. Four of the patients were inexperienced users marijuana before entering the study. The 15 patients completed a total of 97 drug trials in both Phase I and 11 58 THC and 39 placebo trials. A drug administration compliance rate of 96% was maintained throughout the study. Table 1 lists the results of the 64 completed paired trials in Phase I. Each study variable represents the sum of all responses on THC trials and placebo trials completed by each patient. There was a reduction of nausea and vomiting in 14 of 15 patients. Eight of the 15 patients had an "excellent" response, specifically a > 80% reduction of all nausea and vomiting variables, while on THC. Six of the IS patients had a "fair" response to THC, namely a > 30% but < 80% reduction of at least three study variables. All four inexperienced marijuana users were "excellent" responders to THC. Using the method of Koch (15) to analyze the first two trials, THC was found to be of statistically significant benefit for the number of vomiting and retching episodes (p < 0.02), degree of nausea (p < 0.01), duration of nausea (p < 0.01), and volume of emesis (p < 0.01). The difference for volume of oral intake approached, but did not achieve, statistical significance. For none of these variables was there any indication that response to THC and placebo changed uniformly between the first and second trials. For the degree of nausea score, however, the relative efficacy of THC did significantly differ depending upon the order of administration (p < 0.05). The relative efficacy of THC in reducing the degree of nausea score was greater for Trial I than for Trial 2. For Trial 1 alone, THC was significantly better than placebo with regard to degree of nausea (p < 0.01). However, for Trial 2 the difference was not statistically significant. The results of the other two statistical tests applied were very similar to each other. With either of these tests THC was significantly better than placebo with regard to number of episodes of vomiting and retching, degree of nausea, duration of nausea, and volume of emesis (p < 0.001). With both tests, the differences in volume of oral intake between THC and placebo did not approach statistical significance. Plasma concentrations from 18 THC trials along with the paired placebo trials were analyzed in 14 patients. To examine plasma concentrations each trial was divided into five 3-h time intervals beginning at each drug administration. Table 2 summarizes the plasma concentration determinations after oral and smoked THC doses. In placebo trials, where the plasma concentrations were 0 ng/ mL, patients experienced nausea or vomiting, or both, in 65 of 90 time intervals, an incidence of 72%. On THC trials, plasma concentrations of < 5.0 ng/mL, 5.0 to 10.0 ng/mL, and > 10.0 ng/mL were associated with incidences of nausea or vomiting, or both, of 44%, 21%, and 6%, respectively. The incidence of nausea and vomiting decreased with elevation of THC plasma concentrations. It might be argued that the association of THC plasma concentrations to the incidence of nausea and vomiting is not causally related to an antiemetic effect of THC, but rather due to increased absorption of oral doses by the gastrointestinal tract in patients experiencing less nausea and vomiting from other causes. To address this issue, we examined plasma concentrations measured after smoked THC and placebo doses. Patients who vomited during the course of a trial were requested to smoke their remaining doses. The incidence of nausea and vomiting after the administration of placebo cigarettes was 96%. Smoked THC cigarettes resulting in plasma concentrations of < 5.0, 5.0 to 10.0 and > 10.0 ng/mL were associated with incidences of nausea and vomiting of 83%, 38%, and 0%, respectively. All of the patients who smoked their THC doses were experienced cigarette smokers. We concluded that elevations of THC plasma concentrations, achieved primarily by the inhalation route, also resulted in a reduced incidence of nausea and vomiting. 1 Maximum THC concentration measured within 3 hours after each oral or smoked drug administration for 18 THC trials. 2 Three-hour time interval after each drug administration. 3 Eighteen paired placebo trials. 1 DeIta-9-tetrahydrocannabinol concentration measured 1 hr after administration of dose. Despite a constant dose of THC given for each drug administration, absorption via the oral and inhalation routes was not uniform between patients or for individual patients. Thirty-one of 70 (44%) oral doses resulted in TI-IC plasma concentrations > 5.0 ng/mL I h after administration, with a range of 0 to 26.6 ng/mL. Table 3 lists the mean plasma concentrations achieved 1 h after oral and smoked doses from 18 THC trials. Oral absorption was greatest for the first two doses, with mean 1 h plasma concentrations of 7.1 and 6.4 ng/mL. Subsequent oral doses resulted in mean 1 h plasma concentrations of 4.3, 4.7, and 4.5 ng/mL. Mean 3-h plasma concentrations were consistently lower than mean 1 h values measured after oral and smoked doses. Variable absorption is suggested by the large standard deviations associated with each of the mean plasma concentrations. The inhalation route was more reliable in achieving adequate blood concentrations: 12 of 17 smoked doses resulted in plasma concentrations > 5 ng/mL 1 h after smoking, with a range of 0 to 13.6 ng/mL. In three of four scheduled doses, smoked THC resulted in greater mean plasma concentrations than did oral THC, with values of 7.8, 7.5, 7.1 ng/mL. There was no evidence of plasma accumulation of THC with repeated administration every 3 h.
Patients were asked to rate the magnitude of their psychological "high" on a 0-3 scale: 0 = none; I = slightly; 2 = moderately; 3 = greatly. Using time intervals similar to those employed to analyze the plasma concentrations, the patients' subjective "high" rating can be compared with the incidence of nausea or vomiting, or both. Table 4 lists the comparative results of the subjective "high" ratings with the incidence of nausea or vomiting, or both, in all THC trials of Phase I. In those time intervals in which patients rated their "highs" as 0 or I, the incidence of nausea or vomiting was 46%. For "high" ratings of 2 and 3 the incidence of nausea or vomiting decreased to 33% and 18%, respectively. Therefore, the greater magnitude of the subjective "high" appeared to be associated with a decreased incidence of nausea or vomiting. The subjective rating of comfort was recorded by each patient during each wakeful hour of the observation period. The patient was asked to rate comfort by choosing the following: very comfortable (2); somewhat comfortable (1); somewhat uncomfortable (-- I); and very uncomfortable (-- 2). By summing the numerical scores associated with each response and dividing by the total number of responses, a mean comfort rating could be determined for all wakeful hours on THC and placebo trials for each patient. Figure 1 shows the mean comfort rating for all 15 patients on placebo and THC trials. All 14 patients who had a reduction of nausea and vomiting on THC also had an increase in their mean comfort rating. The one nonresponder patient had a decrease in comfort on THC compared to placebo. A common side effect of THC was sedation. When reviewing the patients' subjective responses during all of the trials, 12 of 15 patients rated themselves sleepier per hour on THC than on placebo. Short-lasting episodes of tachycardia in the range of 100 to 120 beats/mm and dizziness associated with orthostatic changes were occasionally noted. These episodes were well tolerated and required no specific medical intervention. Five dysphoric reactions occurred out of a total of 281 THC drug doses (2%). These reactions occurred in four patients, three of whom were experienced marijuana users. The reactions manifested themselves as short-lasting episodes (about 30 minutes) of anxiety (one patient), disorientation (one), paranoia (one), and depression (two patients). No other intervention besides reassurance of the patient was necessary to treat these adverse reactions. Four "excellent" responders to THC have entered Phase II of the study. In contrast to Phase I, all four patients had only "fair" responses to repeated THC trials. Patient 4, for example, had almost complete elimination of nausea and vomiting while on THC during Phase I (see Table 1). In Phase II this patient completed an additional 12 trials (10 THC, two placebo) and had a 50% reduction in nausea and vomiting as determined by comparison of the average values of each study variable for the THC and placebo trials. Two patients entered Phase II of the study as "fair" responders to THC. These patients became nonresponders to THC despite an increased dose in accordance with the study protocol. Five patients with resections of soft tissue sarcomas receiving monthly adjuvant doxorubicin and cyclophosphamide chemotherapy were also studied. Doxorubicin and cyclophosphamide were given at a constant dose of 70 and 700 mg/m2, respectively. These patients were studied in the same manner as patients in Phase I who received high-dose methotrexate. Three of the patients have been nonresponders to THC and two, "fair" responders. We have found that a combination of oral and smoked THC is a highly effective antiemetic compared to placebo in patients receiving high-dose methotrexate chemotherapy. This report confirms and extends earlier observations reported by Sallan and associates, who found oral THC to be an effective antiemetic in patients receiving various chemotherapeutic agents . In addition, it appears that the antiemetic effect of THC is associated with the THC plasma concentration after oral and smoked doses. When compared with placebo, the incidence of nausea and vomiting was reduced to one third when THC plasma concentrations of 5.0 to 10.0 ng/mL were measured and to one tenth with THC plasma concentrations > 10.0 ng/mL. Similarly, elevations of THC plasma concentrations achieved primarily by the inhalation route were also associated with reductions in the incidence of nausea and vomiting. These data pertain only to patients receiving high-dose methotrexate at a dose of 250 mg/kg. Preliminary data indicate that the antiemetic effect of THC in patients receiving a combination of doxorubicin and cyclophosphamide may be less effective. In our patients, as has previously been reported, oral doses administration of THC was associated with variable absorption from the gastrointestinal tract (16). Oral doses administered throughout the day resulted in a wide range of plasma concentrations between patients as well as for individual patients. Only 44% of the oral doses achieved plasma concentration > 5.0 ng/mL 1 h after drug administrations. Sallan and co-workers (7) considered inadequate drug absorption as a possible contributing factor to the lack of an antiemetic response seen in some patients. We concur, since THC plasma concentrations appeared to be causally related to an antiemetic response in our study. To avoid this problem, we switched patients to the inhalation route of drug administration when vomiting occurred. Inhaled marijuana results in the same psychological effects as orally administered THC. In our patient populations, smoked THC was more reliable than oral THC in achieving therapeutic blood concentrations. About 71% of the inhaled doses of THC resulted in plasma concentrations > 5.0 ng/mL I h after drug administration. Since all of our patients who smoked THC were experienced cigarette smokers, we could not determine whether nonsmokers would have absorbed inhaled doses differently. Although the inhalation method of THC administration avoids the ineffective route of oral drug administration in a nauseated or vomiting patient, it has some drawbacks in patient acceptability. Many patients complained of the adverse taste of smoked marijuana, which induced nausea and vomiting in a few instances. Also, patients who are nonsmokers may not be willing or able to smoke THC. Clearly, an alternative parenteral drug route needs to be established if THC is to have wide clinical acceptability. In Phase II there was diminished effectiveness of THC as an antiemetic with repeated drug trials. Some reduction in THC effectiveness may be attributable to the normal variation of nausea and vomiting responses in a patient observed for multiple courses and to the fact that only THC responders were studied in Phase II. The very minimal course-to-course variation observed in Phase I for "excellent" responders would not, however, seem to account entirely for the reduced responses. McMillan and colleagues (18) have demonstrated in animals that infrequent doses of THC can result in tolerance, and this may account for our observations. Another possible factor is the development of anticipatory or conditioned nausea arid vomiting, which commonly occurs in patients receiving repeated courses of chemotherapy. Such patients, when exposed to treatment-related stimuli, become nauseated even before chemotherapy. The presence of anticipatory nausea or vomiting may make a patient more refractory to an antiemetic. Three of the six patients in Phase II developed these anticipatory responses as determined by questionnaires completed by every patient the day before each chemotherapy session. Our study was not designed to assess the ability of THC to prevent or reduce anticipatory nausea or vomiting. The sedative effect of THC was documented in 80% of our patients. Sedation has been reported to be the commonest side effect of phenothiazine antiemetics as well. Moertel and Reitemeier examined this side effect when comparing various phenothiazines as antiemetics. In their study, a sodium pentobarbital control was not any different from an inert placebo control in relieving nausea and vomiting induced by fluoruracil. Although the mechanism of THC's antiemetic effect is unknown, it would be unlikely to be due solely to its sedative properties. Appetite stimulation has been reported after the smoking of marijuana. To assess appetite, oral intake during each drug trial was measured. Oral intake on THC trials did not differ from that on placebo trials. The concomitant infusion of a chemotherapeutic drug may have precluded any appetite-enhancing actions of THC in our patient population. Nabilone, a synthetic cannabinoid with minimal euphoriant effects capable of being administered parenterally, has been reported to have antiemetic properties in patients receiving chemotherapy. Unfortunately, additional data have indicated long-term animal toxicity that may preclude its clinical usefulness. At present, no available agents exist to substantially alleviate the nausea and vomiting associated with chemotherapy. Our data show that oral or smoked THC is an effective antiemetic in patients receiving high-dose methotrexate chemotherapy. The antiemetic action appears to be related to THC plasma concentrations as well as to the patient's psychological "high." A dose schedule of 10 mg/in2 every 3 h for a total of five doses was associated with substantial therapeutic benefit and minimal toxicity. Additional studies relating to THC drug tolerance, effectiveness against nausea and vomiting produced by other chemotherapy regimens, and comparisons with conventional antiemetics need to be done. The authors thank the nursing staff of the National Institutes of Health Clinical Center 10 East ward for carefully collecting the clinical data; and Dr. Roger Foltz and Mr. Bruce Hidy for doing the delta-9-tetrahydrocannibinol plasma determinations. Requests For reprints should be addressed to Alfred E. Chang, M.D. ; Surgery Branch, National Cancer Institute, Building 10, Room 10N116; Bethesda, MD 20205. Received 4 May 1979, revision accepted 29 August 1979. 1. HARRIS JG. Nausea, vomiting and cancer treatment. CA. 1978; 28:1 94-201. 2. WHITEHEAD VM. Cancer treatment needs better antiemetics. N Engl J Med. t975; 293:199-200. Letter. 3. MOERTEL CG, RETTEMElER RJ, GAGE RP. A controlled clinical evaluation of antiemetic drugs. JAMA. 1963; 186:116-8. 4. MOERTEL CG, REITEMETER RJ. Controlled clinical studies of orally administered antiemetic drugs. Gastroenterology. 1969; 57:262-8. 5. MOERTEL CG, SCHUTT AJ, HAHN RG, OFALLON JR. Oral benzquinamide in the treatment of nausea' and vomiting. Clin Pharmacol Ther. 1975; 18:554-7. 6. PLOTKIN DA, PLOTKIN D, OKUN R. Haloperidol in the treatment of nausea and vomiting due to cytotoxic drug administration. Curr Ther Res Gun Exp. 1973; 15:599-602. 7. SALLAN SE, ZINBERO NE, FREI E III. Antiemetic effect of della-9-tet-rahydrocannabinol in patients receiving cancer chemotherapy. N Engl J Med. 1975; 293:795-7. 8. HERMAN TS, JONES SE. DEAN J, et at. Nabilone: a potent antiemetic cannabinol with minimal euphoria. Biomedicine [Express] 1977; 27:331-4. 9. NAGY CM, FURNES BE, ElNHORN LH, BOND WH. Nabilone antiemetic crossover study in cancer chemotherapy patients. Proc Am Assoc Cancer Res-Am Soc Clin Oncol. 1978; 19:30. Abstract. 10. ISRAEL L, RODARY C. Treatment of nausea and vomiting related to anticancerous multiple combination chemotherapy: results of two controlled studies. J Int Med Res. 1978; 6:235-40. 11. HERMAN TS, EINHORN LH, JONES SE, et al. Superiority of nabilone over prochlorperazine as an antiemetic in patients receiving cancer chemotherapy. N Engl J Med. 1979; 300:1295-7. 12. STILLMAN R, GALANTER M, LEMBERGEJS L, Fox 5, WEINGARTNER H, WYATT RJ. Tetrahydrocannabinol (THC): metabolism and subjective effects. Life Sci1976: 19:569-76. 13. ETRICH R, FOLTZ RL. Quantitation of delta-9-tetrahydrocannabinol in body fluids by gas chromatography/chemical ionization-mass spectrometry: cannabinoid assays in humans. Natl Inst Drug Abuse Monogr. 1976; 7:88-95. 14. FOLTZ RL, CLARKE PA, HIDY BJ, LIN DCK, GRAFFEO AP, PETERSON BA. Quantitation of delta 9-tetrahydrocannabinol and 11-Nor-delta-9-tetrahydrocannabinoI-9-carboxylic acid in body fluids by GC/CI-MS. In: VINSON JA, ed. Cannabinoid Analysis in Physiological Fluids. Washington, D.C.: ACS; 1979; 59-72. (ACS symposium Series 98). 15. KOCH GG. The use of non-parametric methods in the statistical analysis of the two-period change-over design. Biometrics. 1972; 28:577-84. 16. PEREZ-REYE5 M, LlPTON MA, TIMMONS MC, WALL ME, BRINE DR, DAVIS KR. Pharmacology of orally administered della-9-tetrahydro-cannabinol. Clin Pharmacol Ther. 1973; 14:48-55. 17. LEMBERGER L, WEISS JL, WATANABE AM, GALANTER IM, WYATT RJ, CAROON PV. Delta-9-tetrahydrocannabinol temporal correlation of the psychologic effects and blood levels after various routes of administration N Engl J Med. 1972:286:685-S.
18. McMILLAN DE, DEWEY WL, HARRIS LS. Characteristics of tetrahydrocannabinol tolerance. Ann NY Acad Sci. 1971; 91:83-99. 19. CLARKE RSJ, DUNDEE JW. Side effects of antiemetics: results of a class experiment. Eur J Pharmacol. 1971:14:291-300. 20. HOLLISTER LE. Hunger and appetite after single doses of marijuana, alcohol, and dextroamphetamine. Clin Pharmacol Ther. 1971; 12:44-9. 21. REGELSON W, BUTLER JR. SHULTZ J, KIRK T, PECK L, GREEN ML. Delta-9-tetrahydrocannabinol as an effective antidepressant and appetite-stimulating agent in advanced cancer patients. In: BRAUDE MC, SZARA S, eds. The Pharmacology of Marihuana. New York: Raven Press: 1975:763. VANN Robert E. GAMAGE Thomas F. WARNER Jonathan A. MARSHALL Ericka M. TAYLOR Nathan L. MARTIN Billy R. WILEY Jenny L.
Cannabis saliva (marijuana plant) contains myriad cannabinoid compounds; yet, investigative attention has focused almost exclusively on Δ9-tetrahydrocannabinol (THC), its primary psychoactive substituent. Interest in modulation of THC's effects by these other cannabinoids (e.g., cannabidiol (CBD)) has been stimulated anew by recent approval by Canada of Sativex (a 1:1 dose ratio combination of CBD:THC) for the treatment of multiple sclerosis. The goal of this study was to determine the degree to which THC's abuse-related effects were altered by co-administration of CBD. To this end, CBD and THC were assessed alone and in combination in a two-lever THC discrimination procedure in Long-Evans rats and in a conditioned place preference/aversion (CPP/A) model in ICR mice. CBD did not alter the discriminative stimulus effects of THC at any CBD:THC dose ratio tested. In contrast, CBD, at CBD:THC dose ratios of 1:1 and 1:10, reversed CPA produced by acute injection with 10 mg/kg THC. When administered alone, CBD did not produce effects in either procedure. These results suggest that CBD, when administered with THC at therapeutically relevant ratios, may ameliorate aversive effects (e.g., dysphoria) often associated with initial use of THC alone. While this effect may be beneficial for therapeutic usage of a CBD:THC combination medication, our discrimination results showing that CBD did not alter THC's discriminative stimulus effects suggest that CBD:THC combination medications may also produce THC-like subjective effects at these dose ratios. Objectives: To synthesize the research to determine whether oral delta-9-tetrahydrocannabinol (THC) and smoked marijuana are effective treatments for chemotherapy-induced nausea and vomiting (CINV) and to evaluate side effects and patient preference of these treatments. Data Sources: Original research, review articles, and other published articles in CINAHL(R), MEDLINE(R), and Cochrane Library databases.Data Synthesis: Cannabinoids are effective in controlling CINV, and oral THC and smoked marijuana have similar efficacy. However, smoked marijuana may not be accessible or safe for all patients with cancer. Also, these drugs have a unique side-effect profile that may include alterations in motor control, dizziness, dysphoria, and decreased concentration. Conclusions: This synthesis shows that cannabinoids are more effective than placebo and comparable to antiemetics such as prochlorperazine and ondansetron for CINV. Implications for Nursing: Nurses should feel supported by the literature to recommend oral synthetic THC as a treatment for CINV to their patients and physician colleagues. Nurses should be cognizant of the side-effect profile for this medication and provide appropriate patient education. RESEARCH DESIGN AND METHODS: Patients receiving moderately to highly emetogenic chemotherapy received dexamethasone (20 mg PO), ondansetron (16 mg IV) and either placebo or dronabinol (2.5 mg) prechemotherapy on day 1. Patients randomized to active treatment (dronabinol and/or ondansetron) also received dronabinol (2.5 mg) after chemotherapy on day 1. On day 2, fixed doses of placebo, dronabinol (10 mg), ondansetron (16 mg), or combination therapy were administered. On days 3-5, patients received placebo, flexible doses of dronabinol (10-20 mg), ondansetron (8-16 mg), or dronabinol and ondansetron (10-20 mg dronabinol, 8-16 mg ondansetron). RESULTS: Sixty-four patients were randomized; 61 analyzed for efficacy. TR was similar with dronabinol (54%), ondansetron (58%), and combination therapy (47%) versus placebo (20%). Nausea absence was significantly greater in active treatment groups (dronabinol, 71%; ondansetron, 64%; combination therapy, 53%) versus placebo (15%; p < 0.05 vs. placebo for all). Nausea intensity and vomiting/retching were lowest in patients treated with dronabinol. Active treatments were well tolerated. The low number of patients due to slow enrollment limits the interpretation of these data. CONCLUSIONS: Dronabinol or ondansetron was similarly effective for the treatment of CINV. Combination therapy with dronabinol and ondansetron was not more effective than either agent alone. Active treatments were well tolerated.